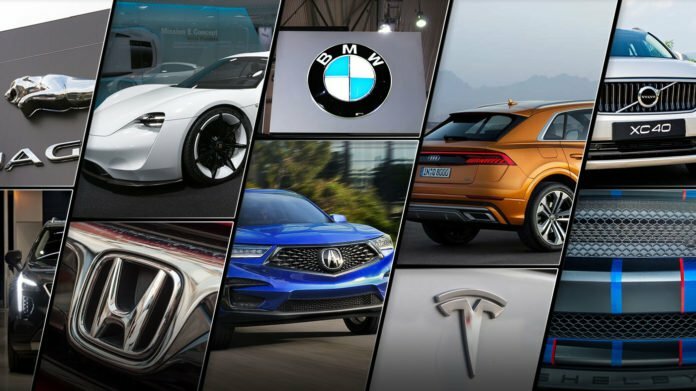 We look at what each automaker should make as a new year’s resolution with 2019 news cars we’d like to seem them build. 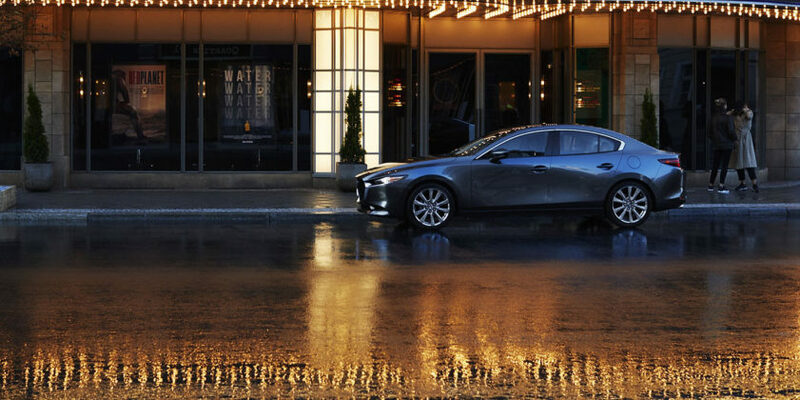 The new year is upon us. 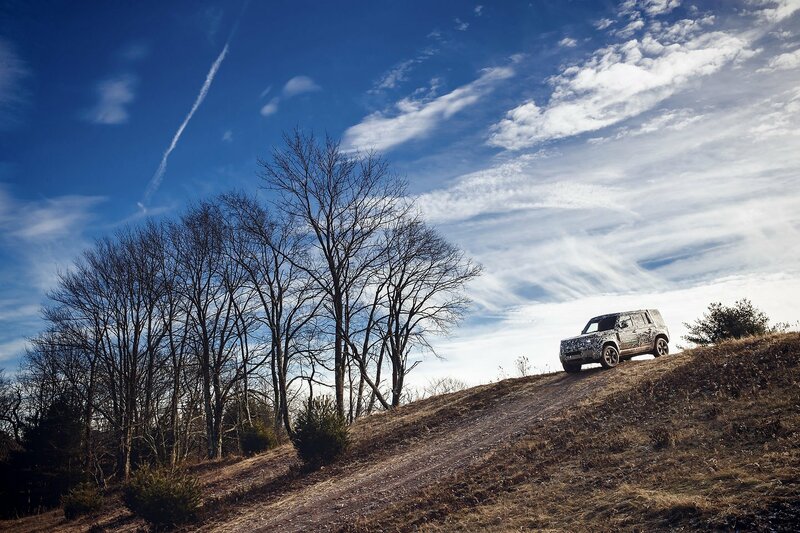 Hundreds of millions of new year’s resolutions will be made tonight and broken by the end of the week. 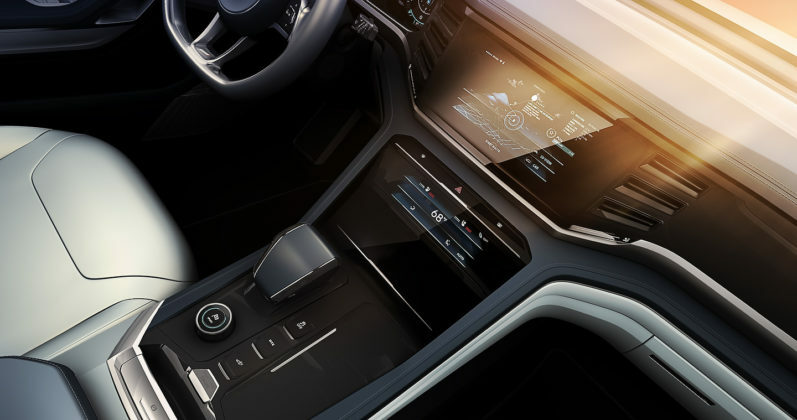 For the industry’s automakers, this is where we think the focus should be in 2019. 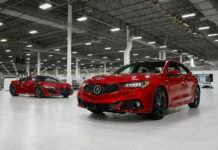 Acura introduced a new-generation RDX in 2018 which was the best thing they could have done in the SUV-crazy Canadian market. 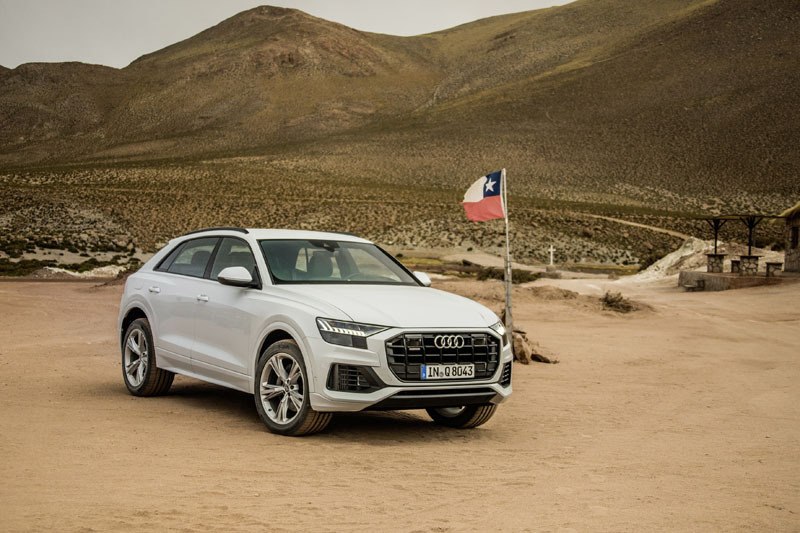 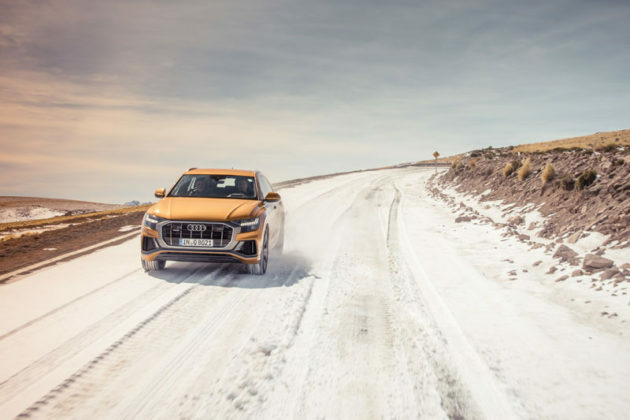 They need to build on that success with a smaller SUV that will slot beneath the RDX and take on the BMW X1, Volvo XC40, Mercedes-Benz GLA and Audi Q3. Alfa Romeo has a long road to ahead to relevancy in Canada, and it will need more than the Giulia and the Stelvio. 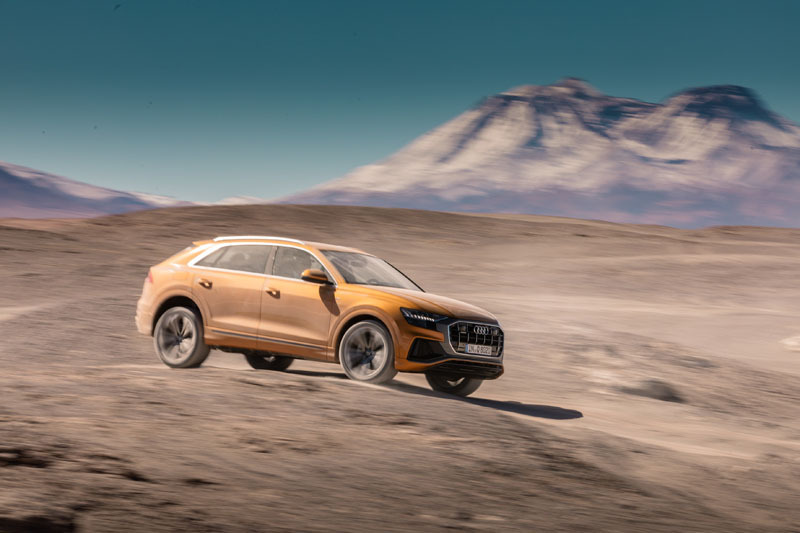 We’re thinking a new SUV would work well here, something a little bigger than the Stelvio that could take on the new BMW X5 and redesigned Mercedes-Benz GLE. 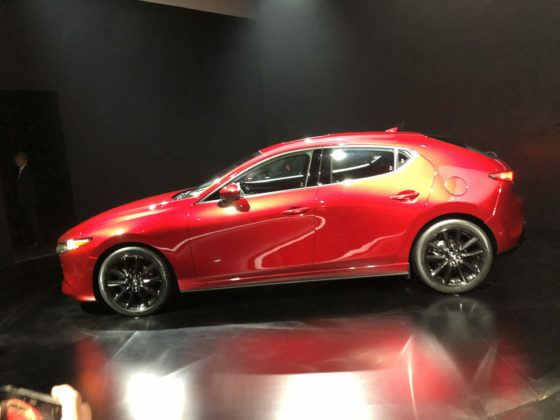 If that’s not possible, build a more affordable version of the Giulia. 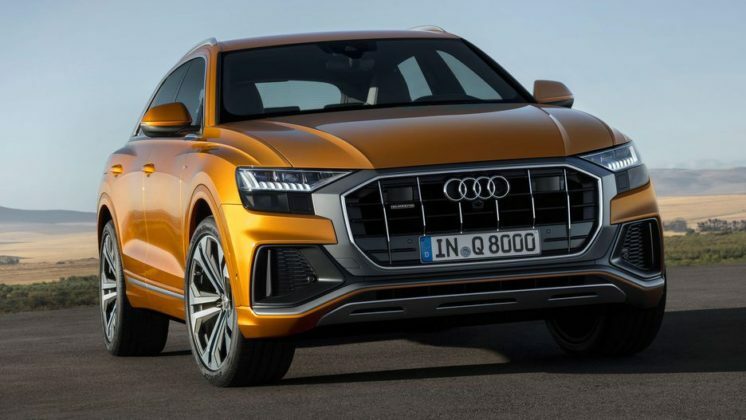 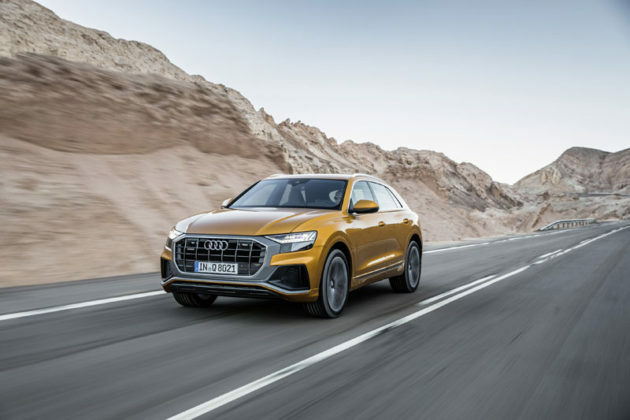 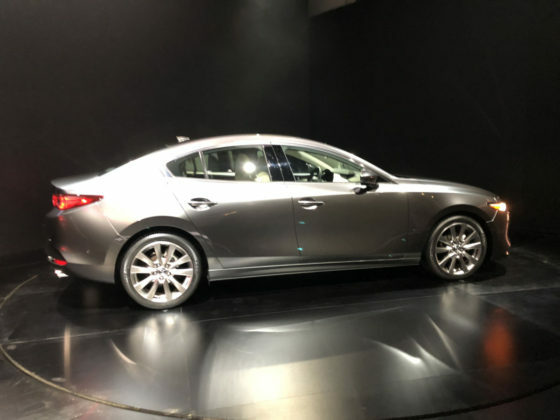 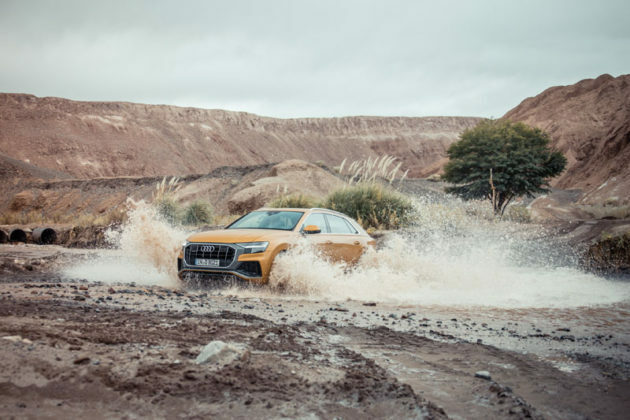 The German automaker was on a tear in 2018, introducing a host of new models every month it would seem. 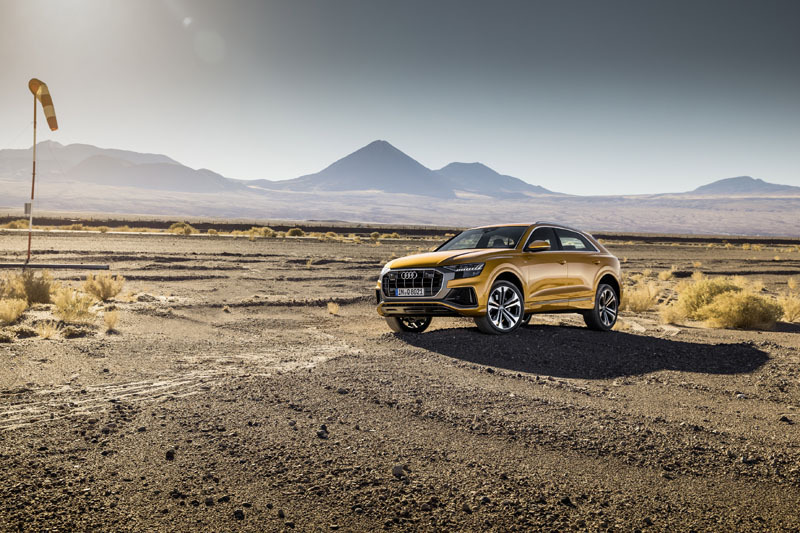 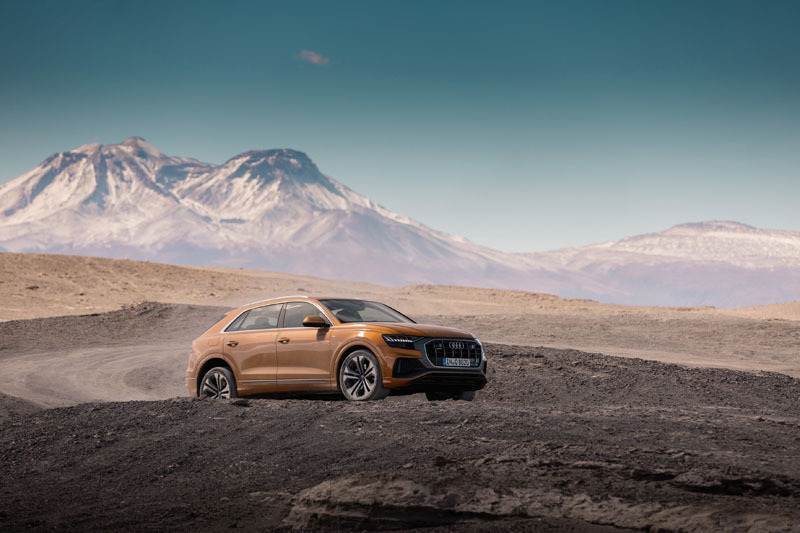 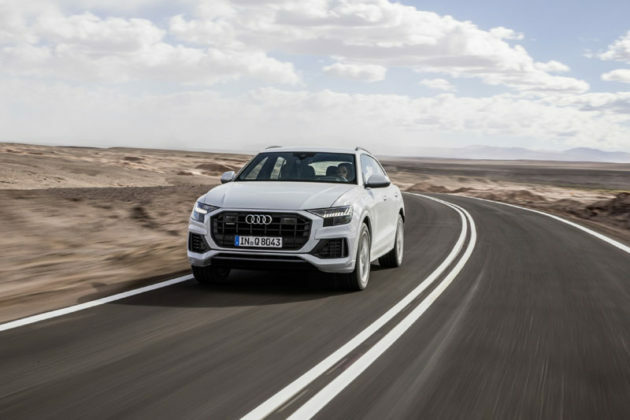 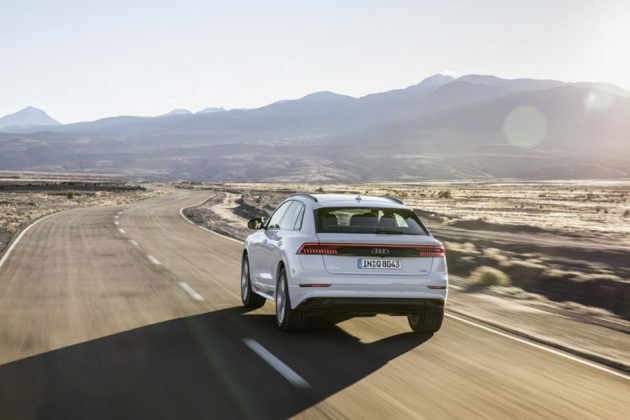 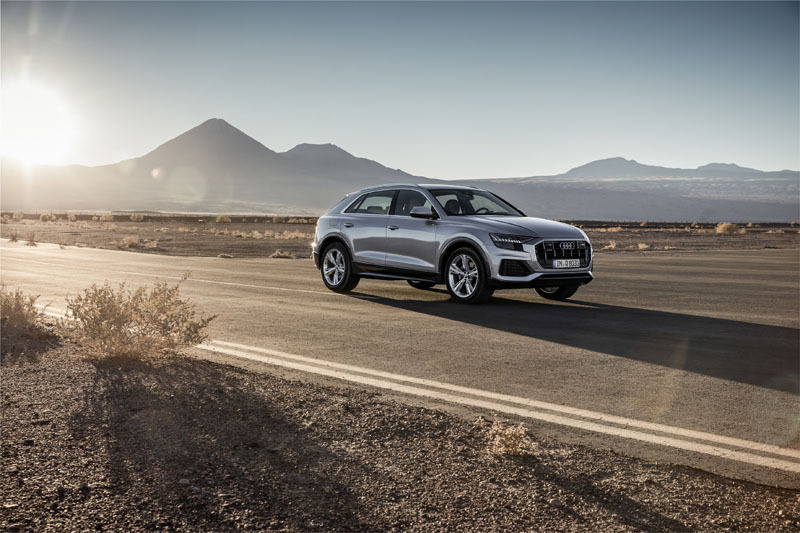 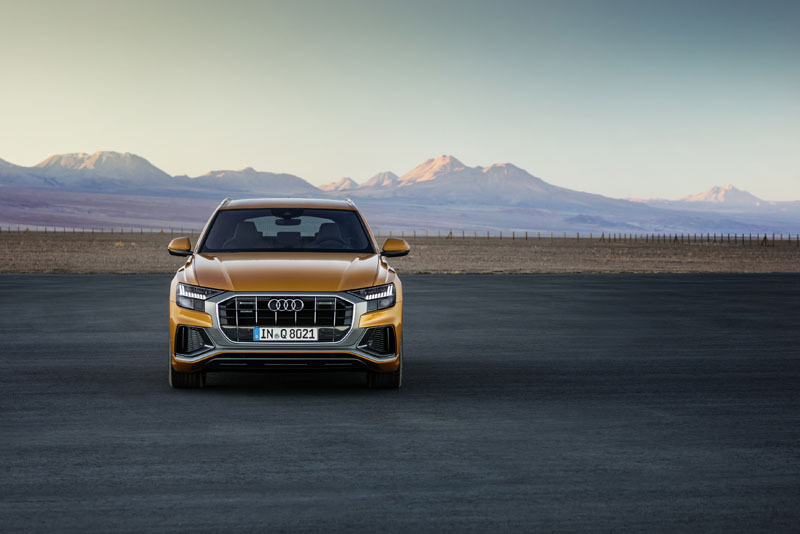 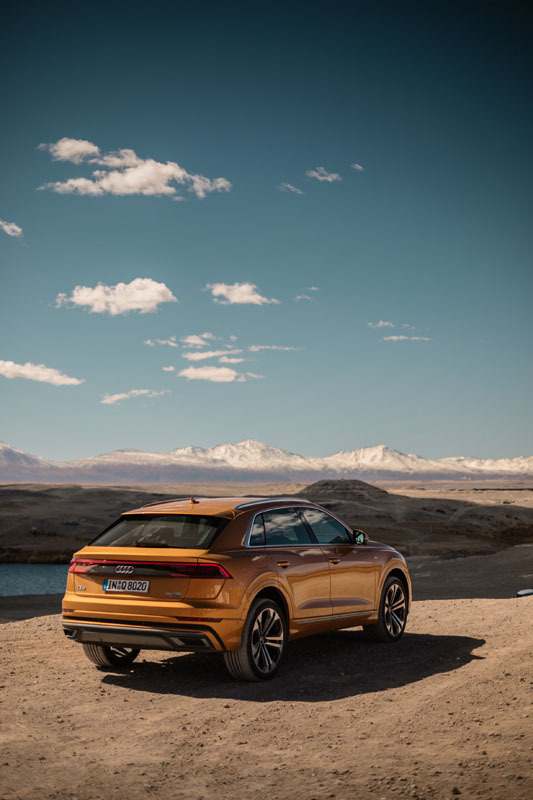 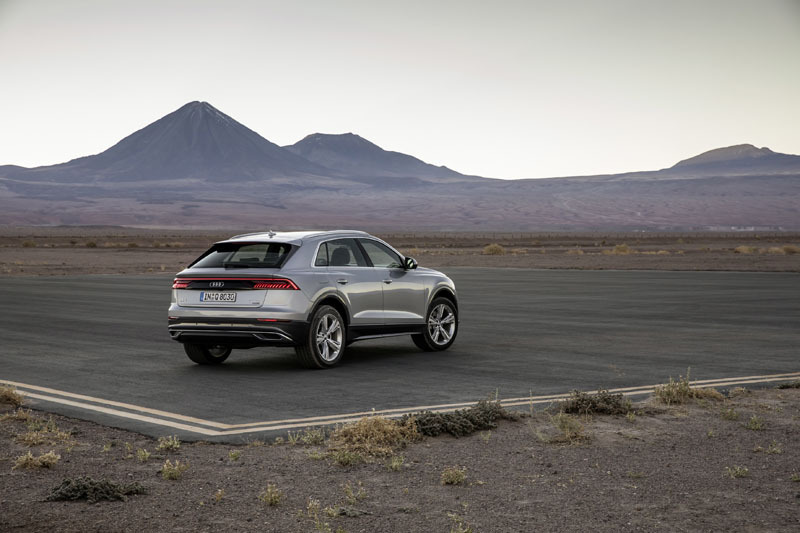 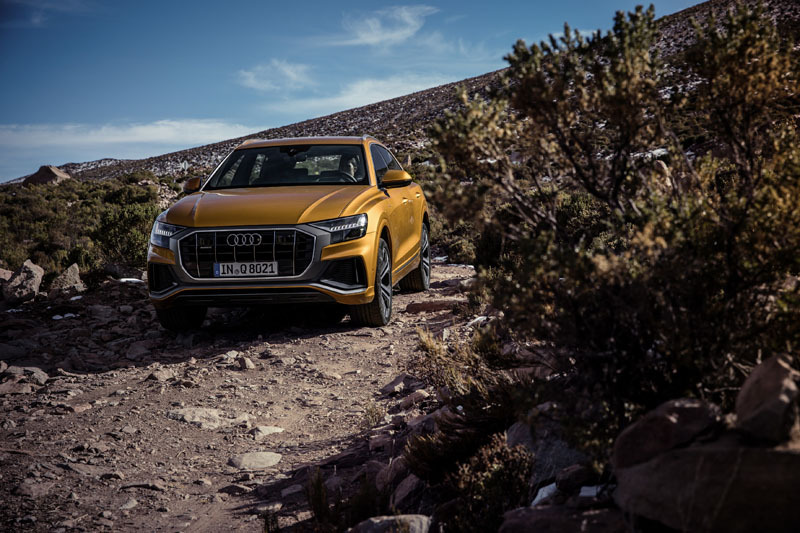 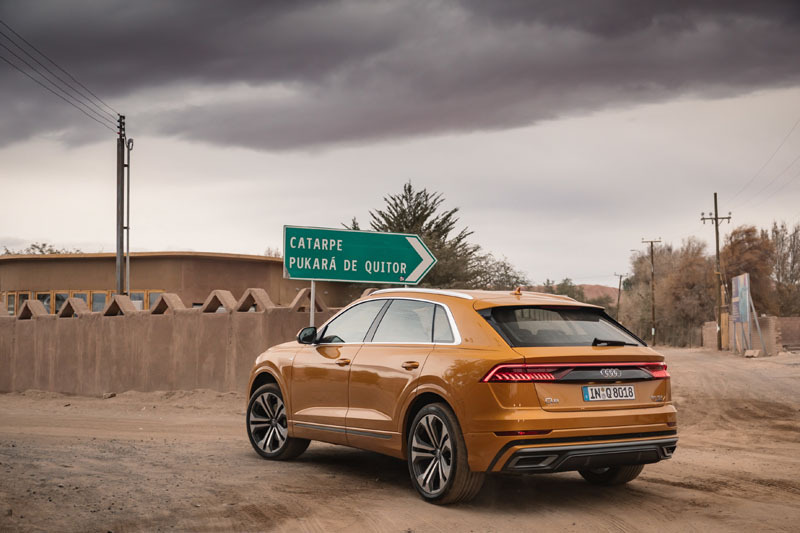 The highlight was the new e-tron Quattro and subsequent e-tron GT unveiled at the Los Angeles Auto Show. 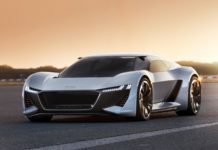 Next year, Audi needs to bring the e-tron GT to market and it will have a serious Taycan/Model S competitor in the soon-to-be-important premium EV sedan segment. 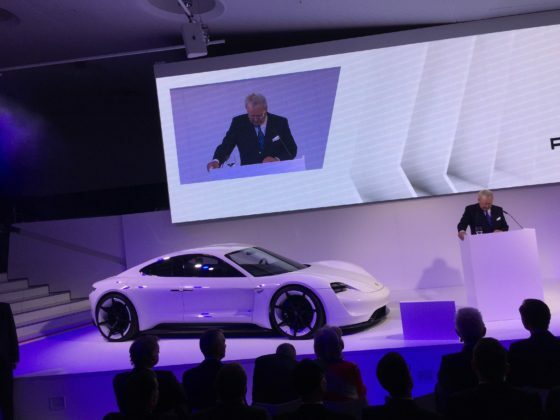 Like Audi, BMW was very busy this year. 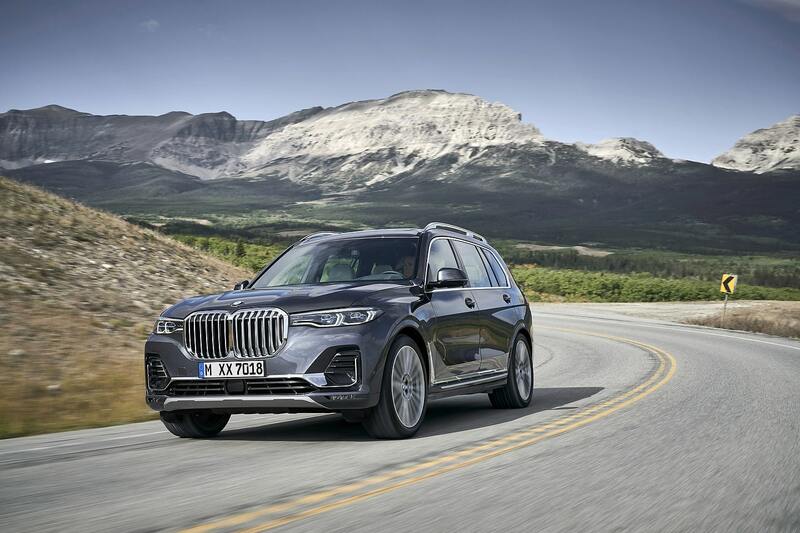 It brought back the 8 Series, introduced the X7 and redesigned the all-important 3 Series. 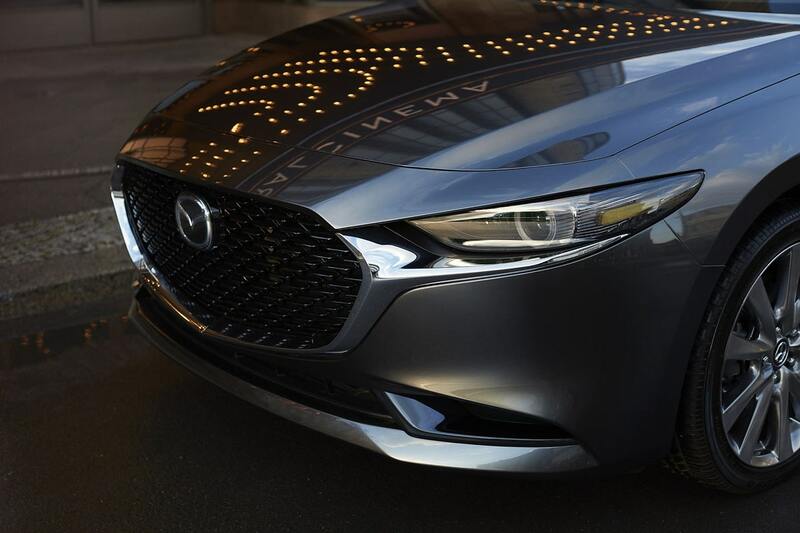 For 2019, we’re thinking they need to energize their I lineup. 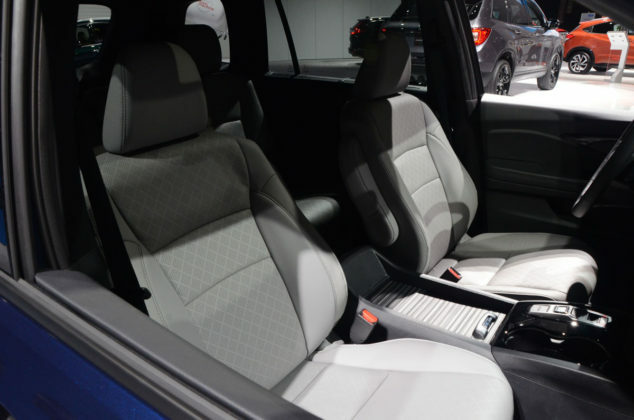 Redesign the I3 or introduce the I5, it’s up to you in Munich. 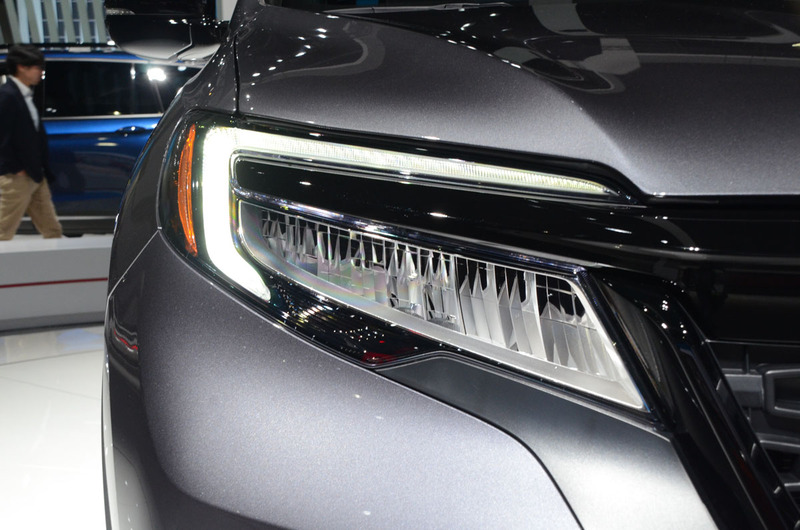 It seems like whatever Buick does, it can’t pass that hump and get at least one model to stand out in its segment. 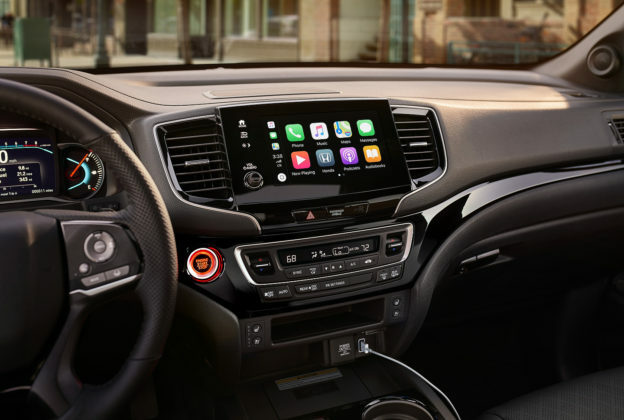 Still, hopefully they don’t give up and redesign the Buick Encore in 2019. 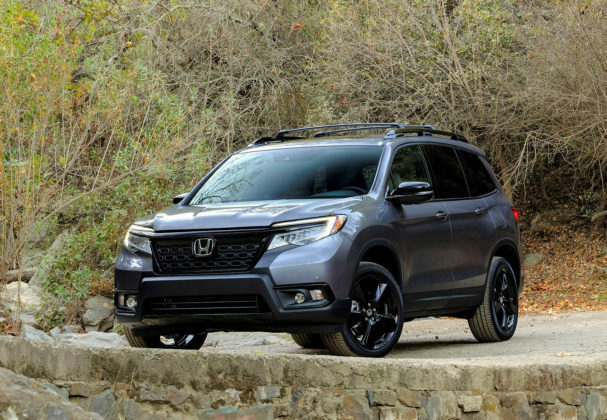 Small luxury SUVs are hot right now. 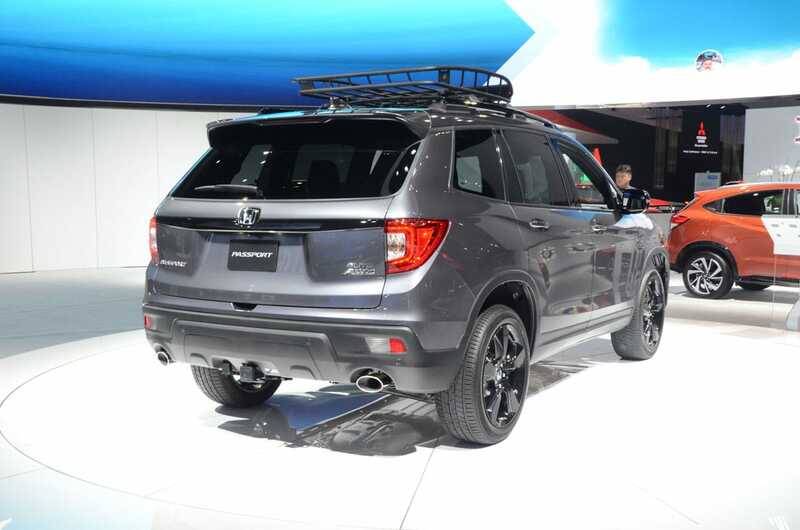 If Buick can move the Encore away from the Trax and give it its own personality, they could be on to something. 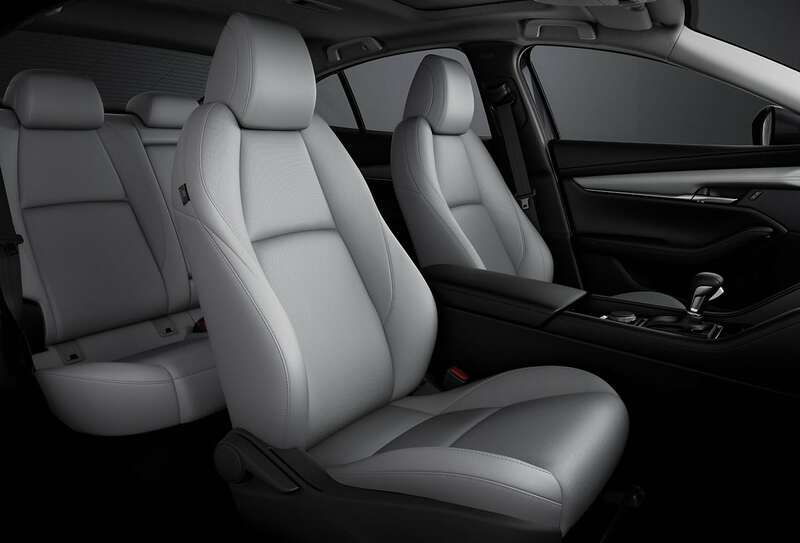 Cadillac introduced the XT4 last year. 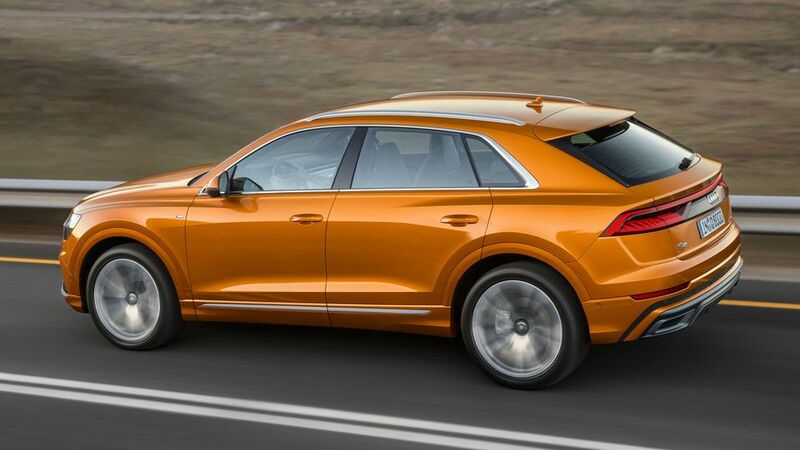 Now they need to redesign the XT5 using the same recipe of focusing on design and packing it with features at a competitive price. We’d like to say Cadillac needs a new luxury sedan, but that time has sailed. 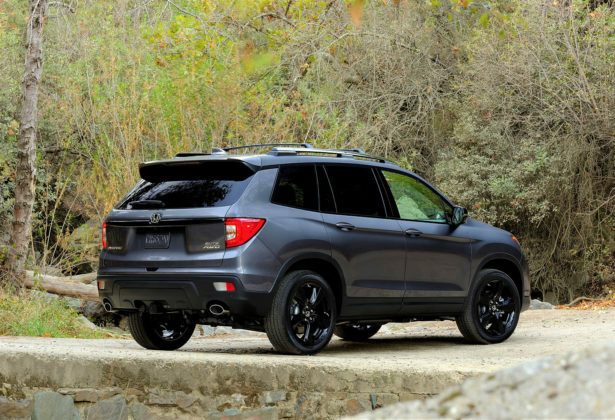 The American automaker needs to up its SUV game. 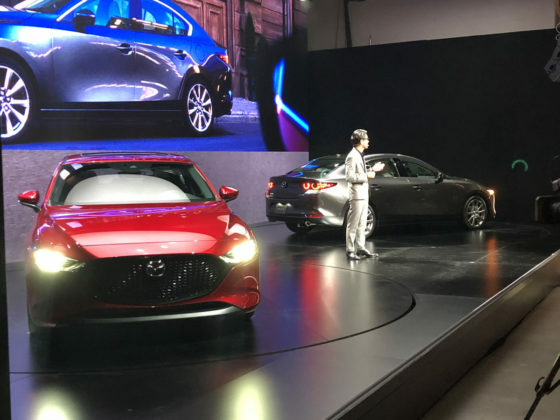 Chevrolet shocked the world in early December by shutting down production lines, laying off workers and kicking some car models like the Cruze to the curb despite strong sales. 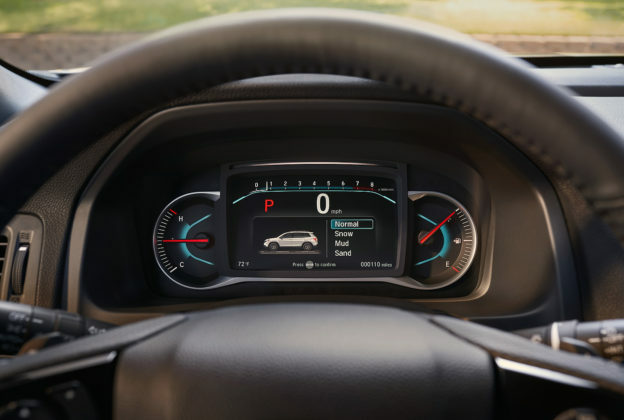 We’d say redesign the Cruze and Volt for 2019, but there’s a better chance Chevrolet will be focusing on sport utility vehicles. If that’s the case, they should bring a new and more competitive Chevrolet Trax to the market. Chrysler needs a new 300. It’s the only model that’s really worked for them in the last decade and they need to redesign it and make a big marketing splash with it. 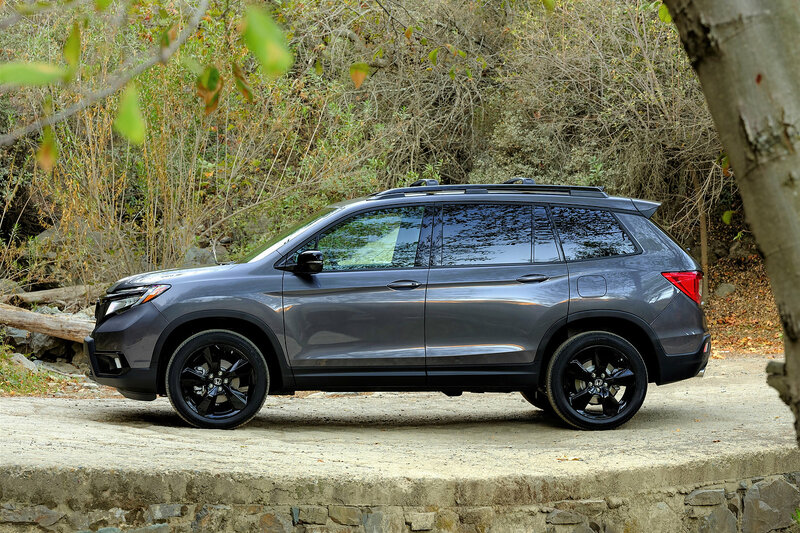 You can bring a new SUV to the market if you want, but right now no one has Chrysler in mind when shopping for a new vehicle. A new 300 could do what the first one did 14 years ago and put Chrysler back on the map. 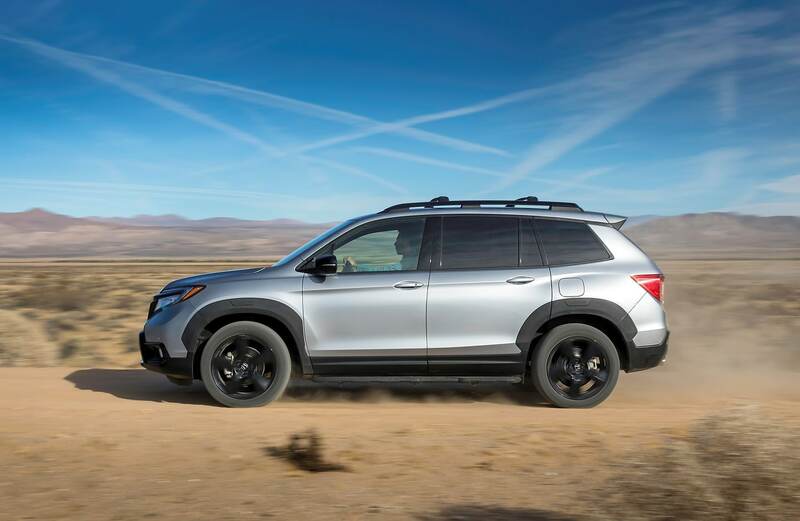 Enough with the muscle cars and 1000-horsepower engines, Dodge needs an SUV in the worst way. 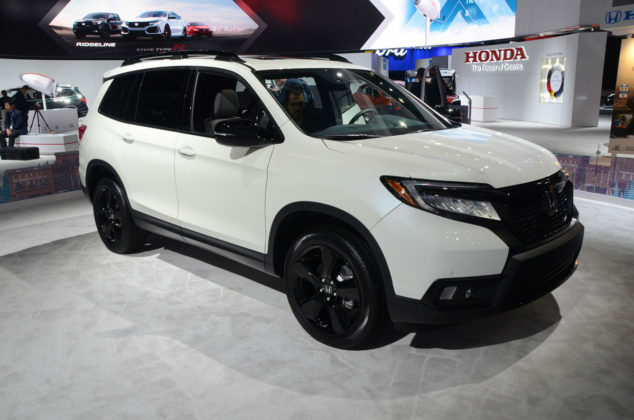 They need to build a compact or mid-size SUV that will rival either the Ford Escape or the Ford Edge. Like Alfa Romeo, Fiat is having a lot of trouble finding a foothold in North America. 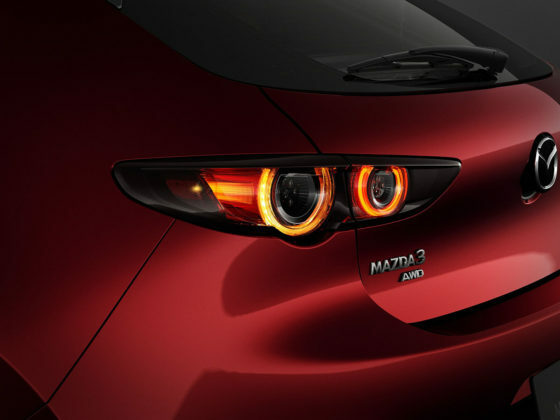 Reliability problems have hurt the Italian brand and consumers have lost confidence. They need to start from scratch with a new model that’s an SUV and not a Fiat 500X. 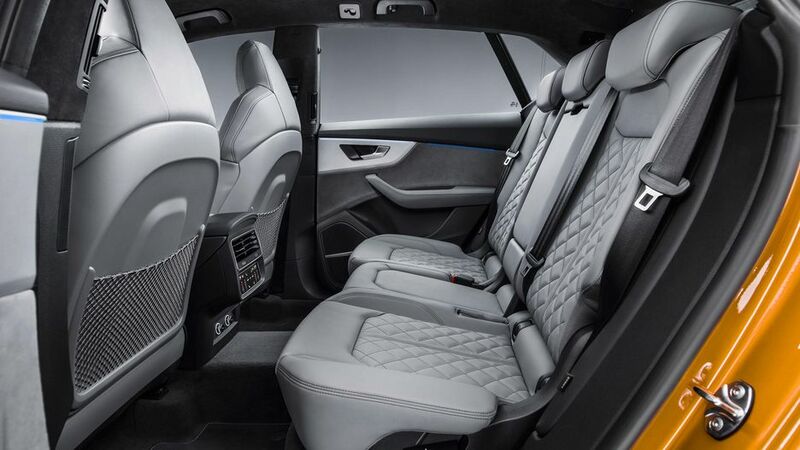 They need something with more space that has more to offer than just an original design. 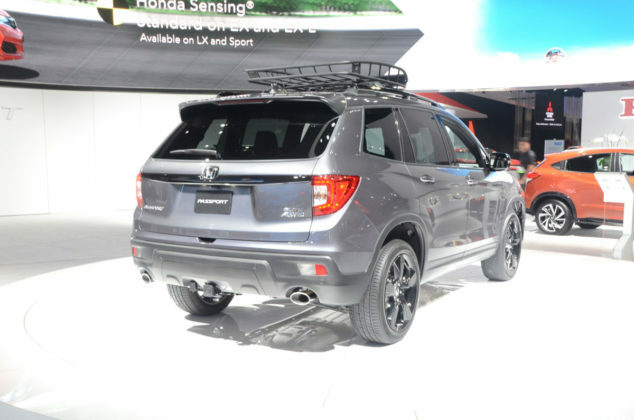 SUV, SUV, SUV, SUV, SUV, SUV… Genesis needs an SUV. Something compact or mid-sized and it needs to be great. 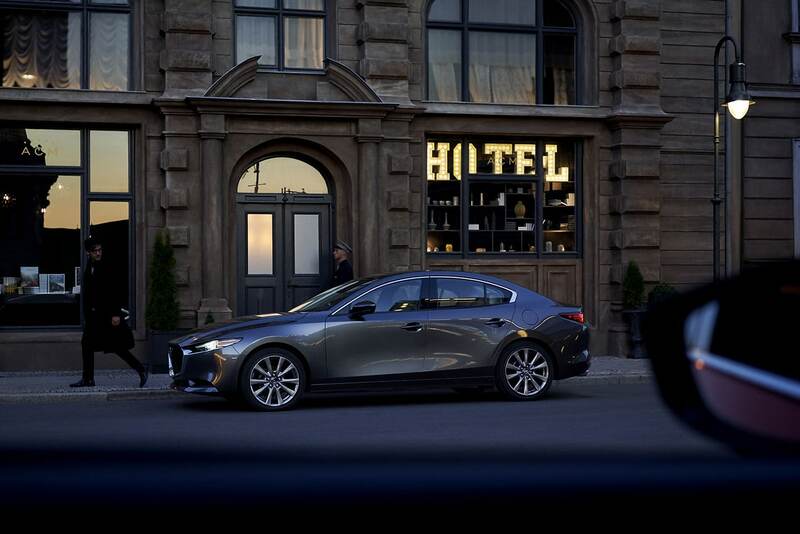 Genesis is on the right track and is winning awards left and right with the G70. Now, they need a sport utility vehicle because consumers want sport utility vehicles. 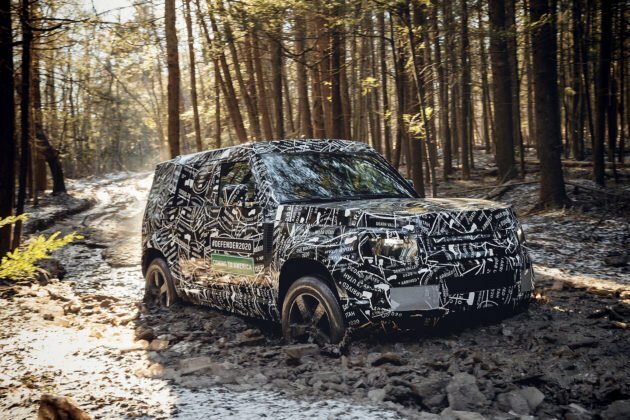 GMC could do with a new Canyon, but a new Sierra 2500 HD is probably the smarter play for 2019. 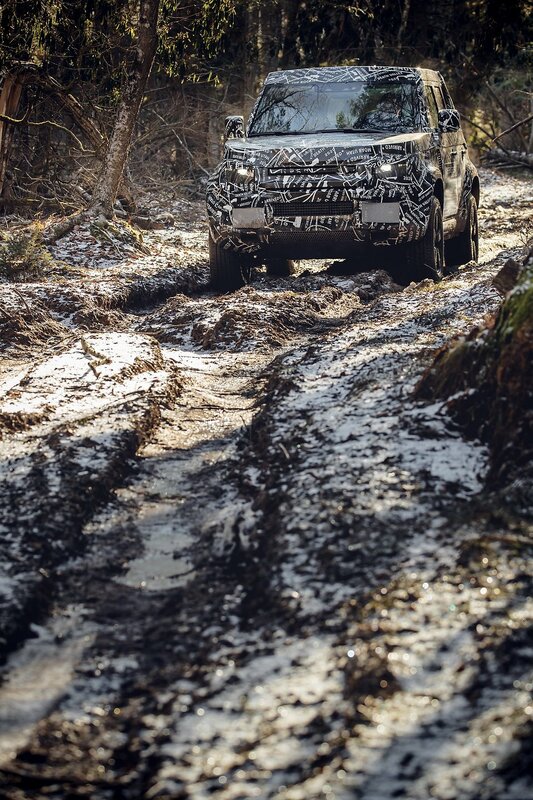 We wouldn’t follow the new Silverado 2500 HD’s styling cues, however. 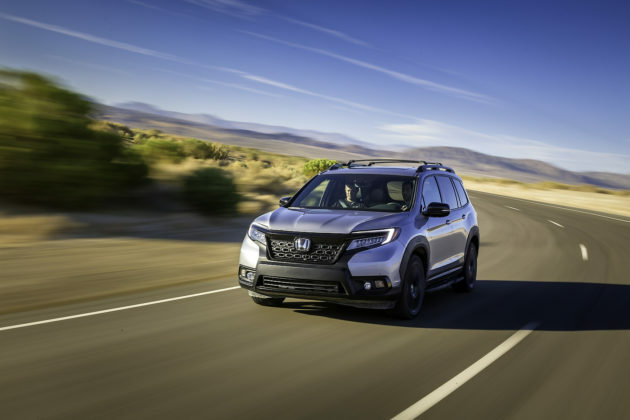 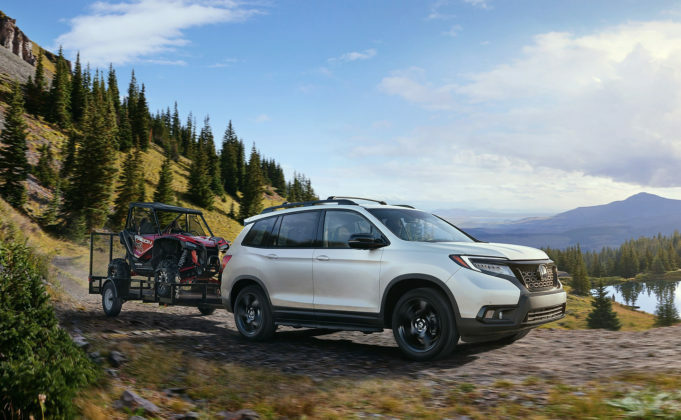 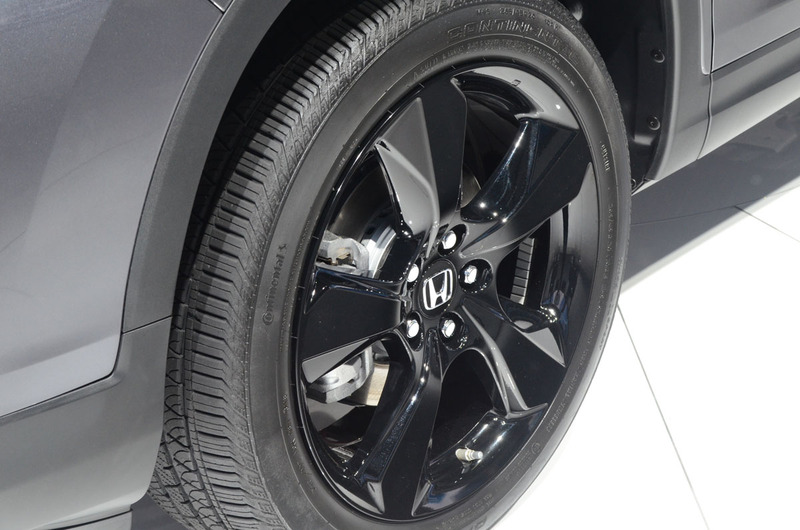 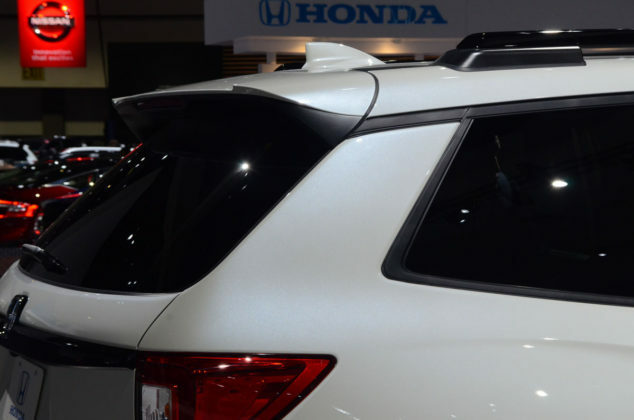 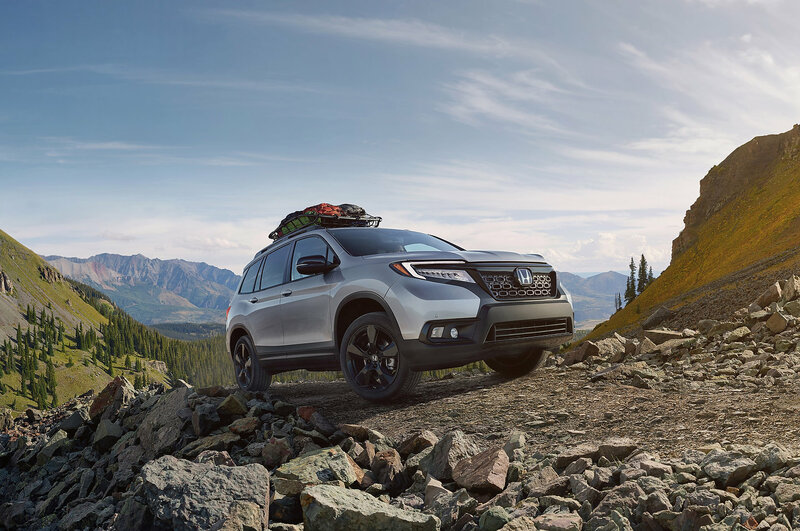 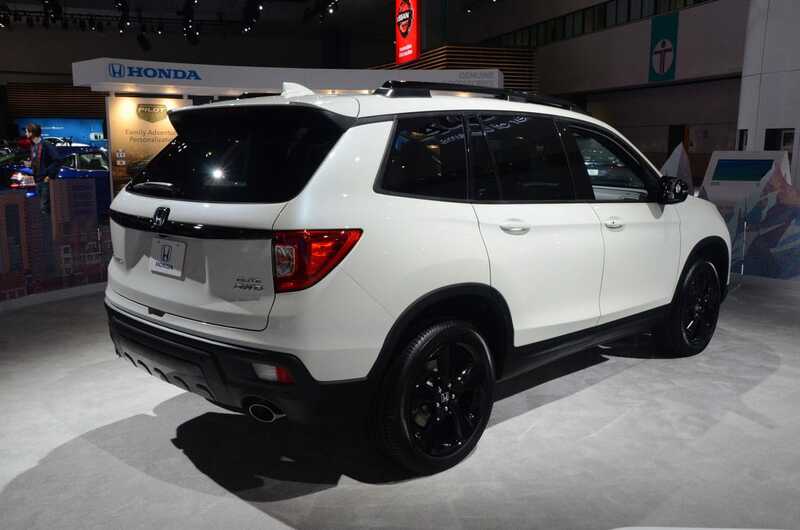 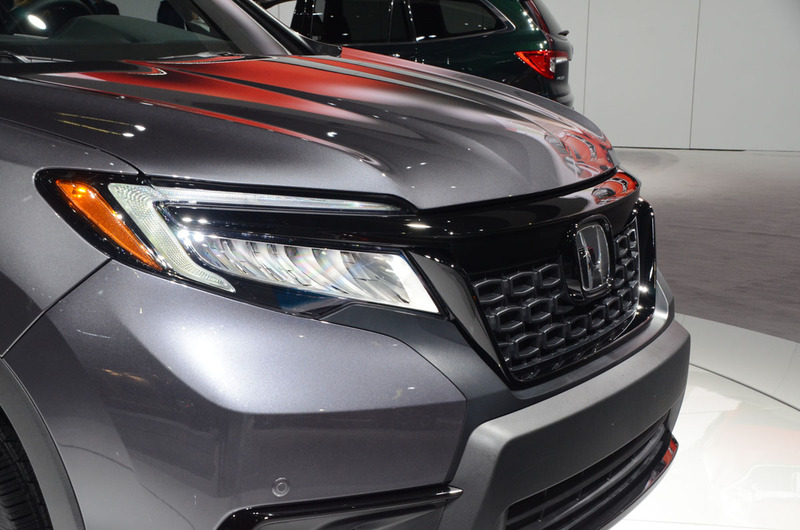 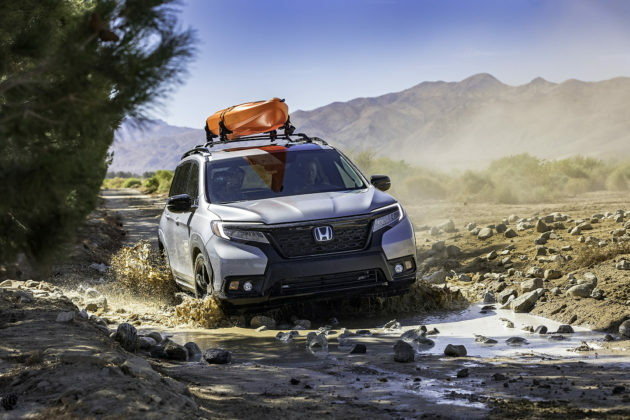 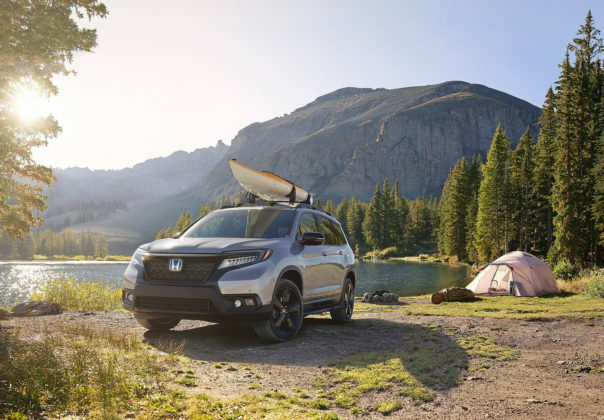 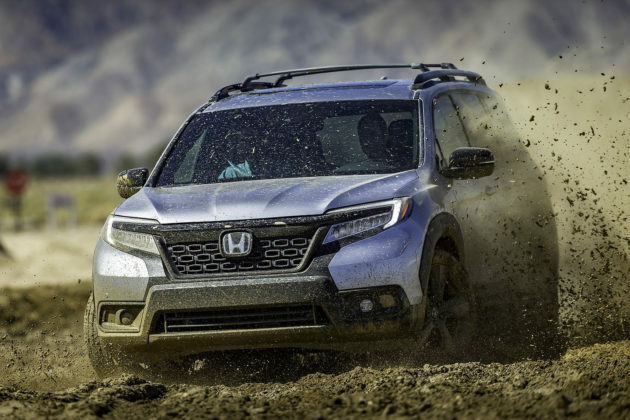 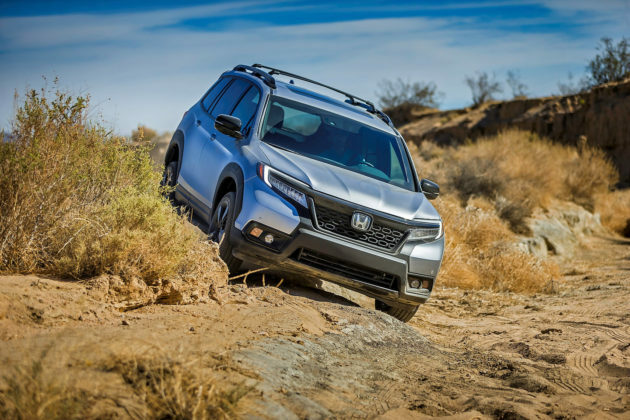 Last year we would have said that Honda needs a new sport utility vehicle to slot between the CR-V and the Pilot. 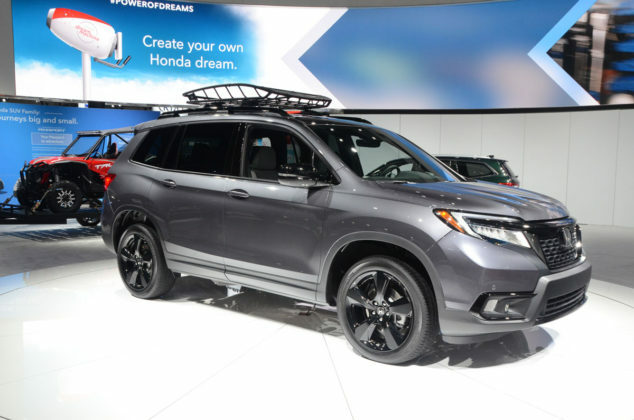 Well, that’s happened with the new Honda Passport which will be the model to watch at Honda next year. 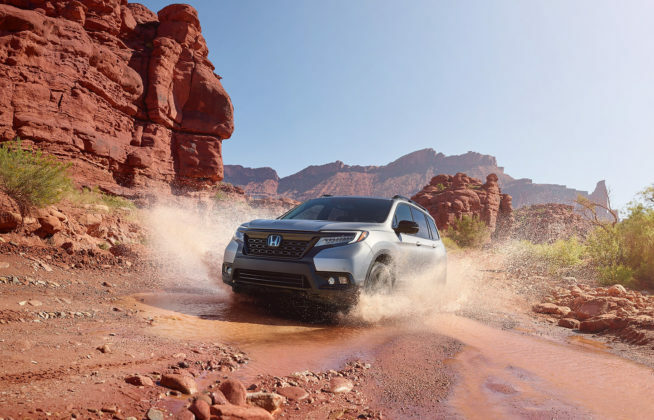 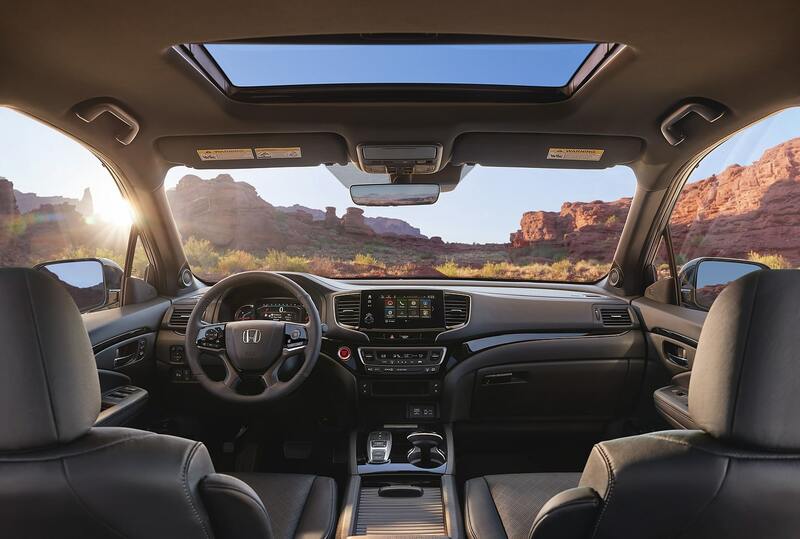 With a relatively up-to-date lineup of cars and utility vehicles, Honda just needs to make a few tweaks. We are thinking an all-wheel drive version of the Honda Civic to match the new Mazda3. They could the same with the Accord as well. 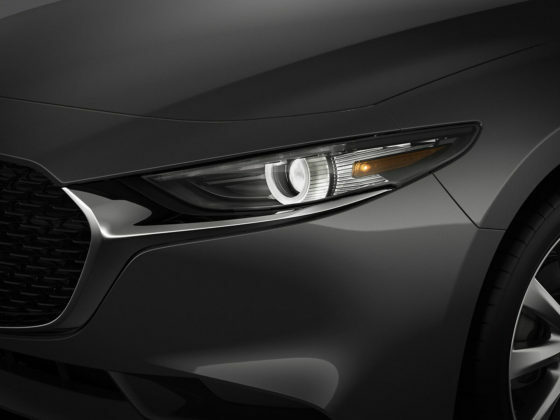 Like Honda, Hyundai’s lineup has very few holes in it. 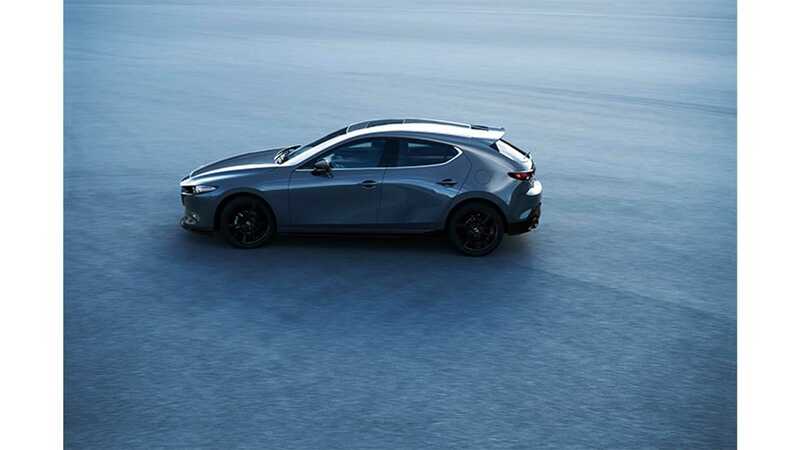 Why not make an all-wheel drive IONIQ to compete with the new AWD Prius? 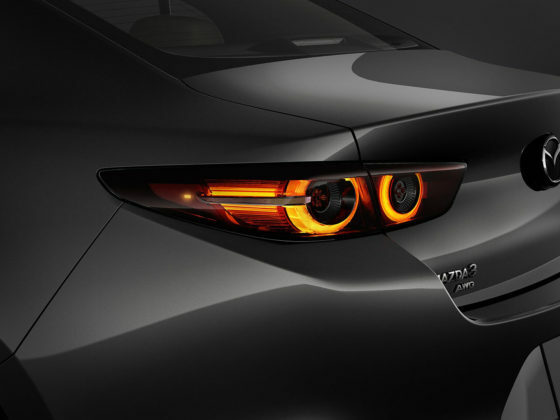 They could also redesign the Sonata towards the end of the year and give it AWD too in the process. 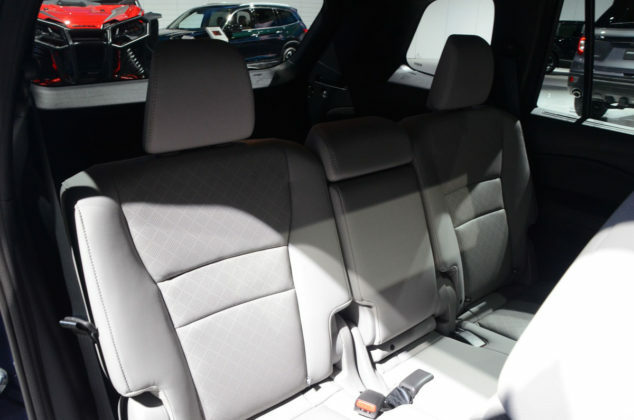 Infiniti needs to keep up the momentum of the QX50 with a brand-new three-row QX60. 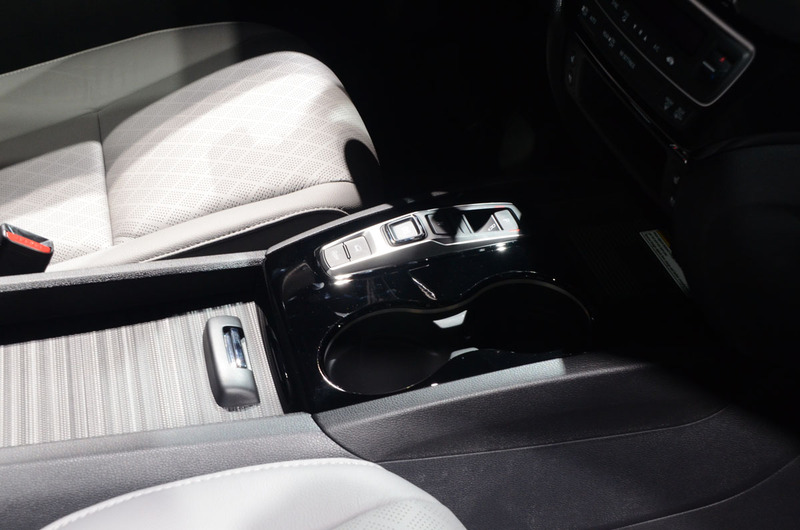 Give it the VC-T engine with an optional six-cylinder engine and give it an interior inspired by the QX80. 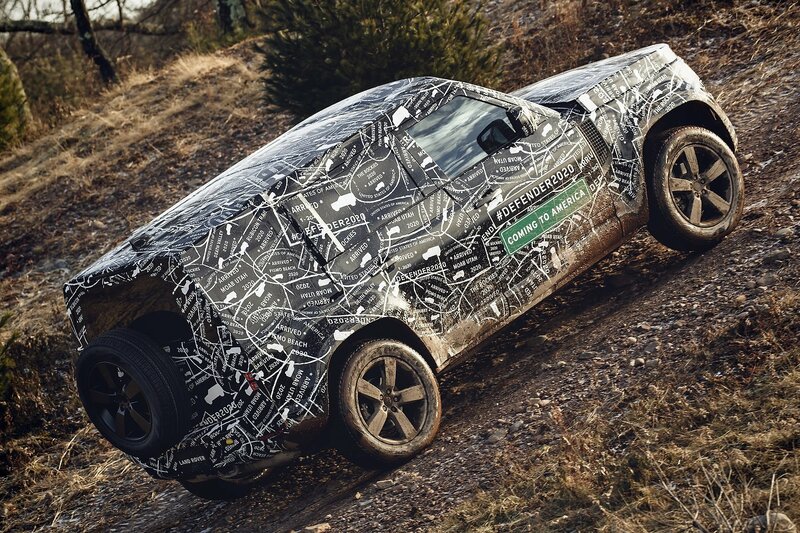 Jaguar did a great job with the F-Pace, but then they kind of dropped the ball with the unexceptional E-Pace. 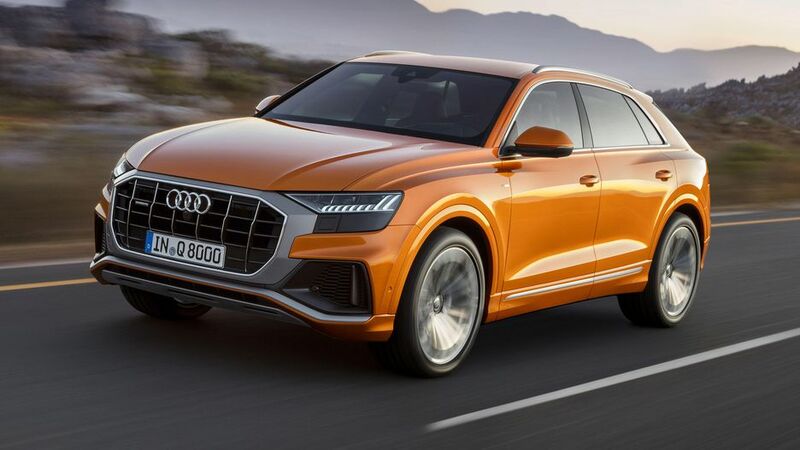 A three-row SUV would be weird but it wouldn’t be out of place. That said, we’re thinking they should capitalize on the attention the I-Pace is getting with new PHEV versions of the F-Pace and E-Pace. 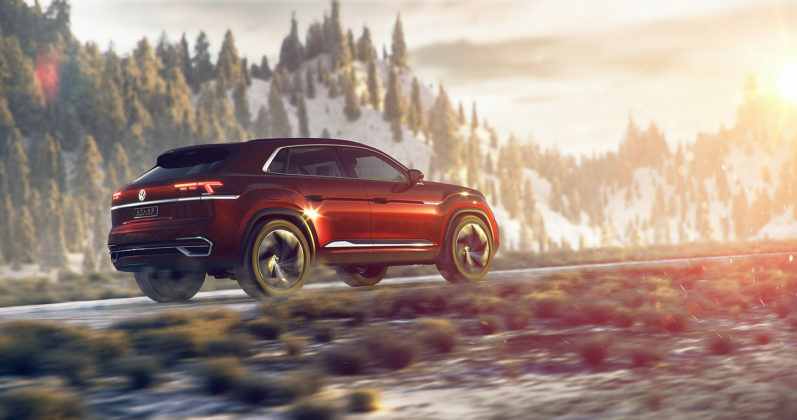 Definitely a new generation of the Grand Cherokee would make sense and will actually happen. 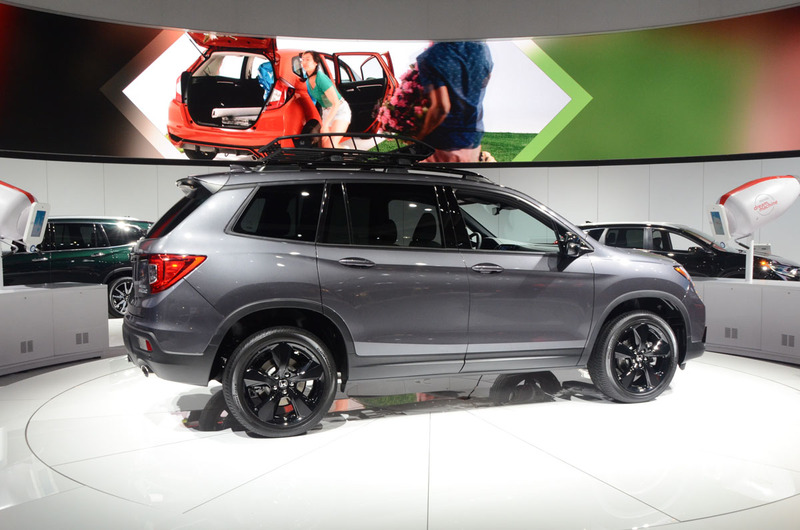 What should also happen is a new Jeep Cherokee. So many Cherokee competitors have been redesigned while it stays relatively unchanged since 2014. Time for a new-generation Cherokee. 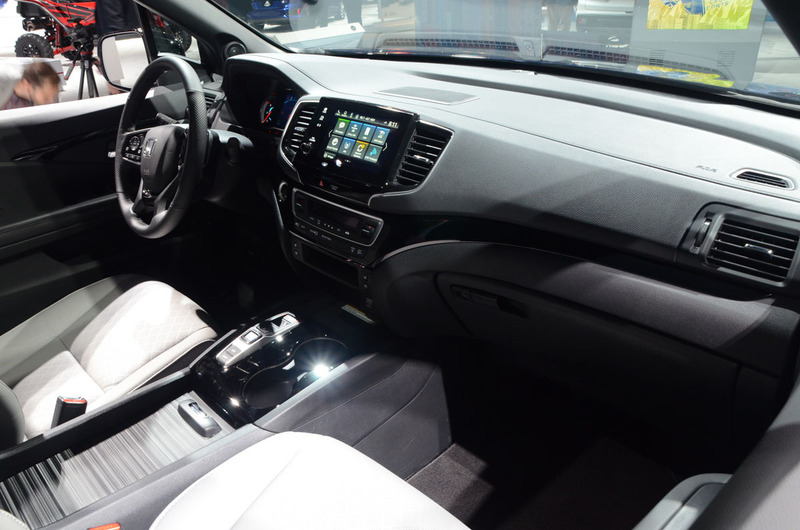 Kia has a new Sorento, it now needs a new Sportage. The current generation launched in 2015 at the Frankfurt Auto Show, so why not introduced a new model at this year’s Frankfurt show. 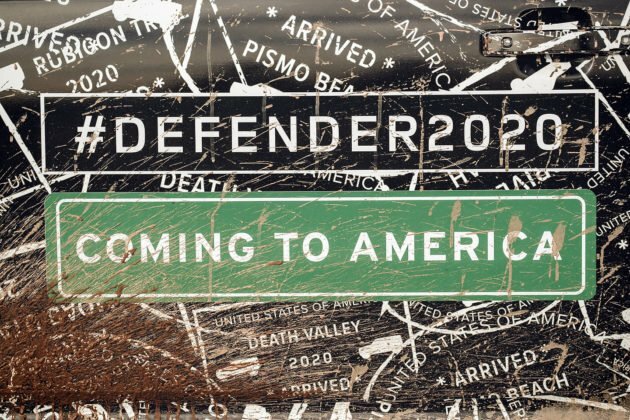 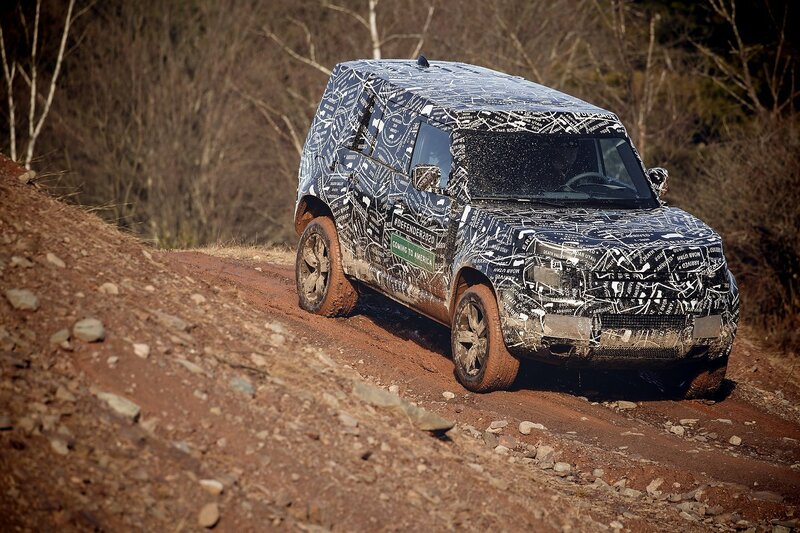 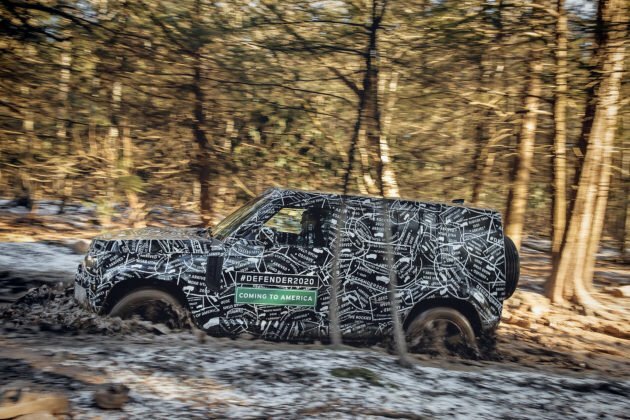 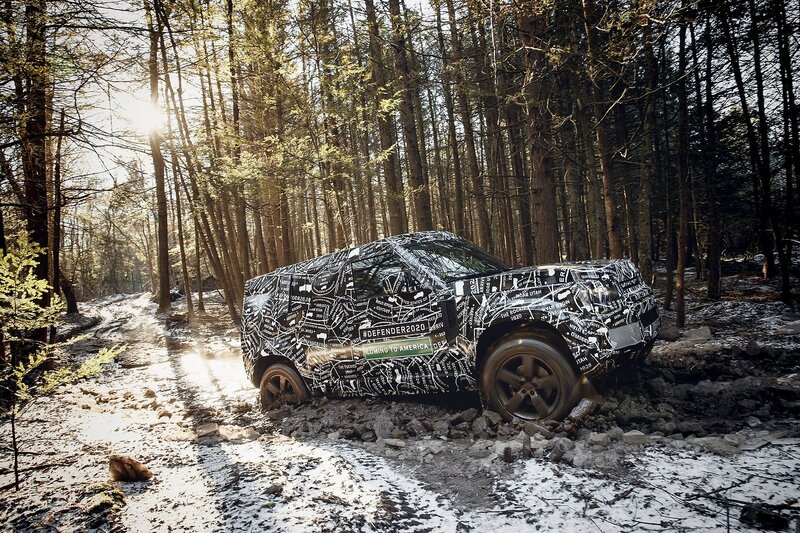 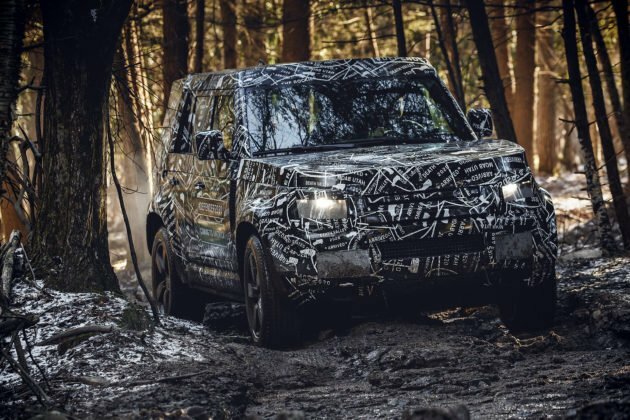 2019 will be the year of the Land Rover Defender and thank goodness for that. 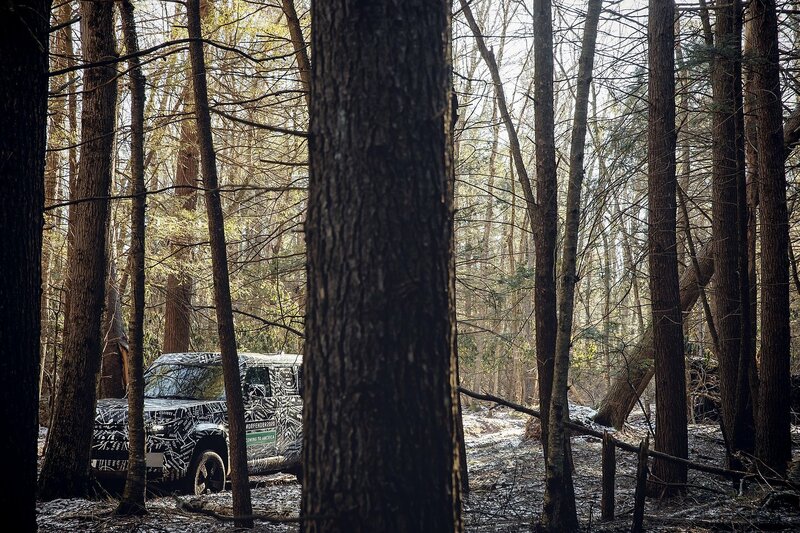 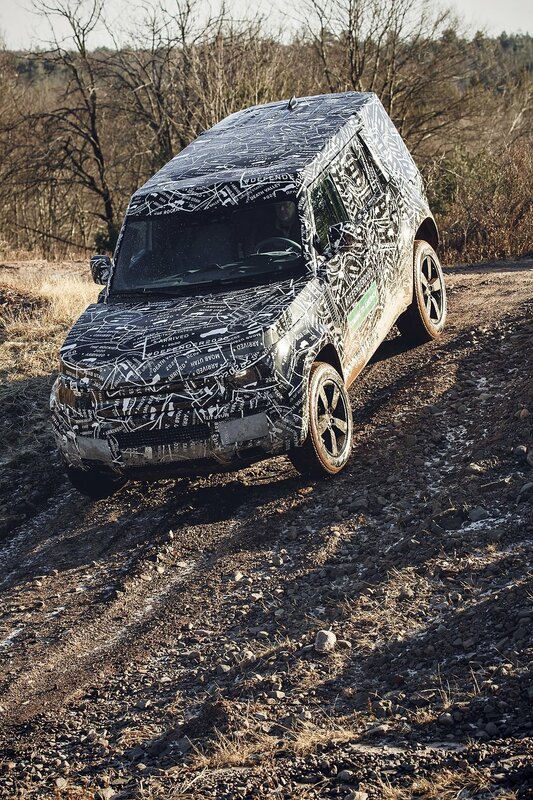 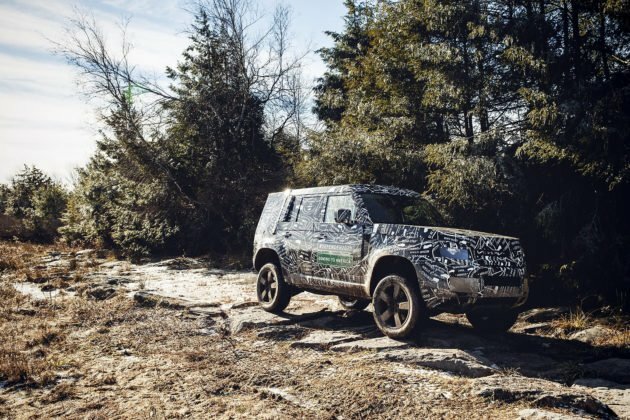 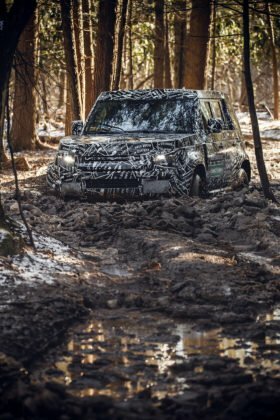 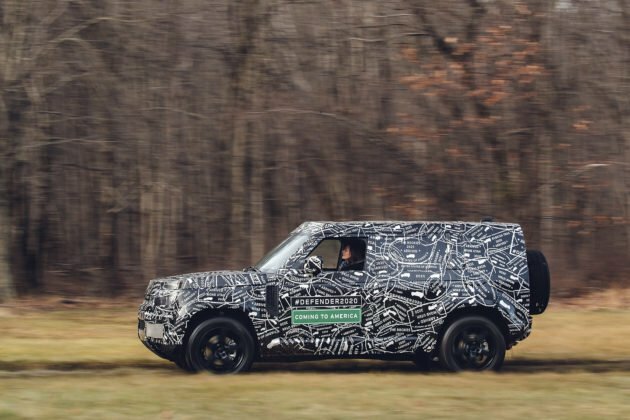 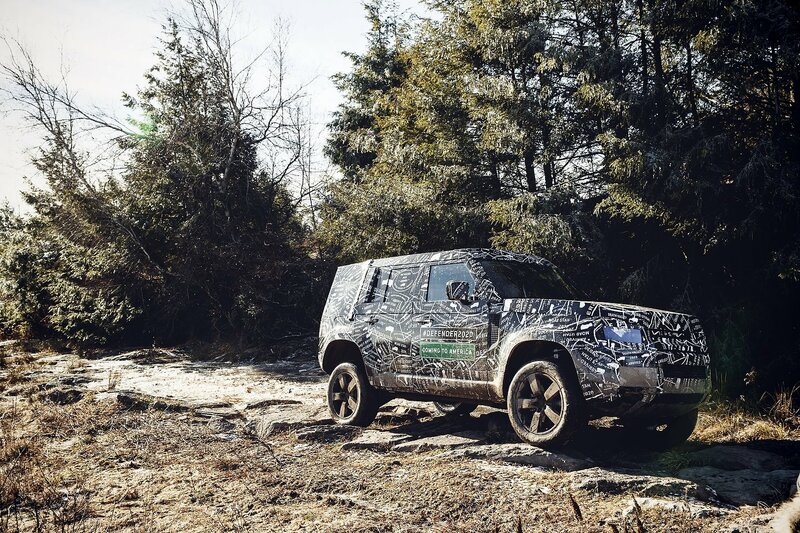 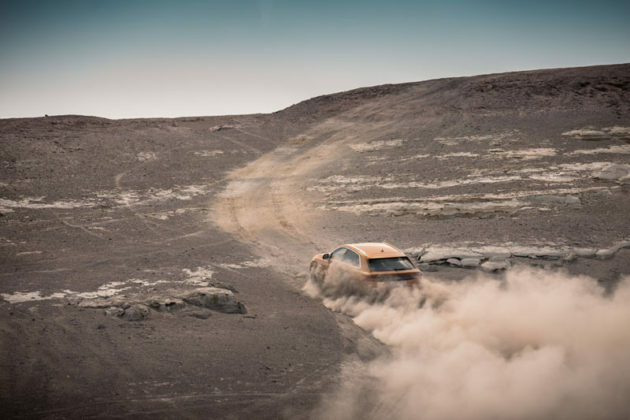 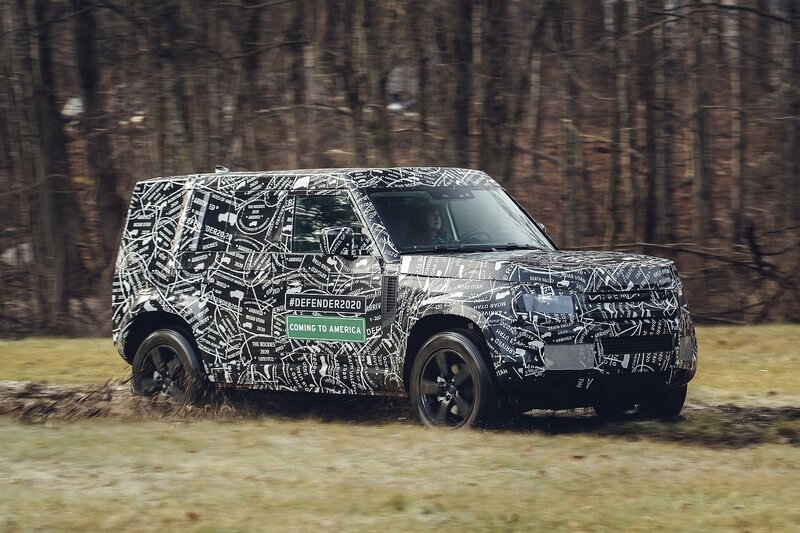 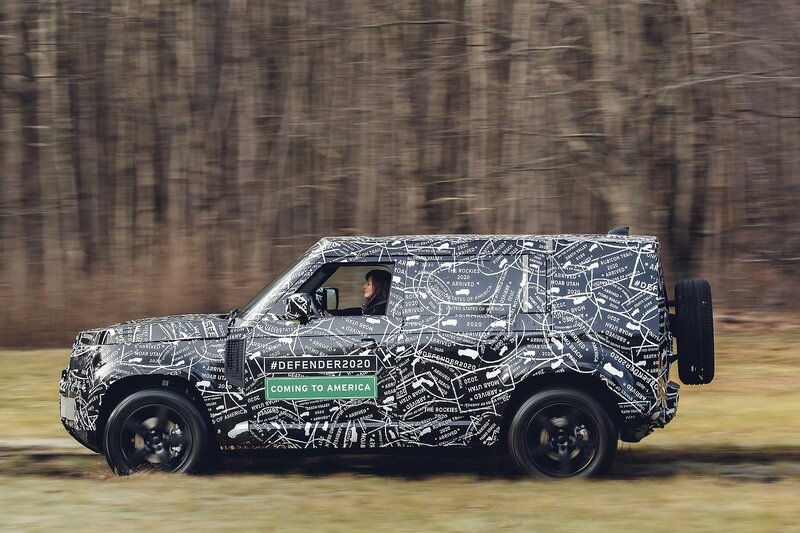 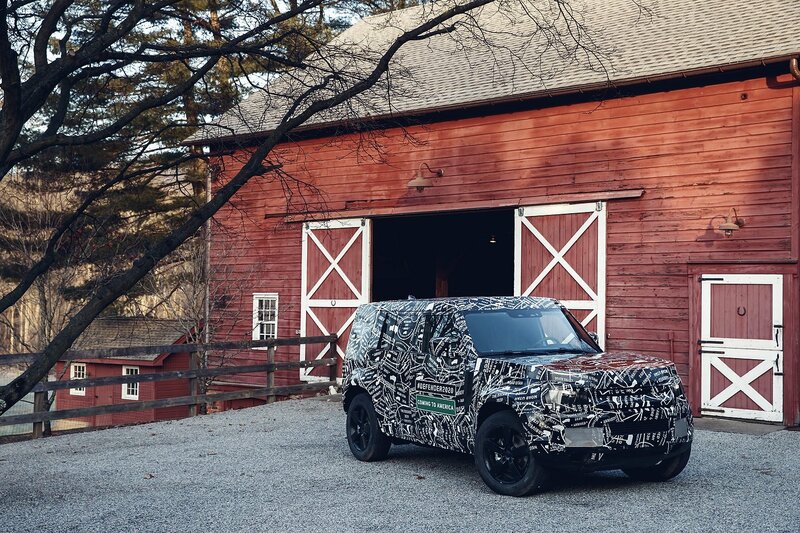 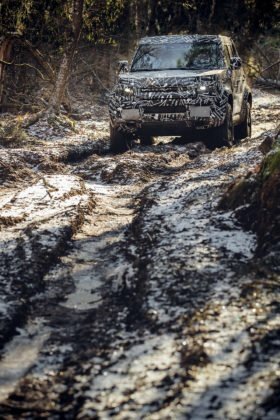 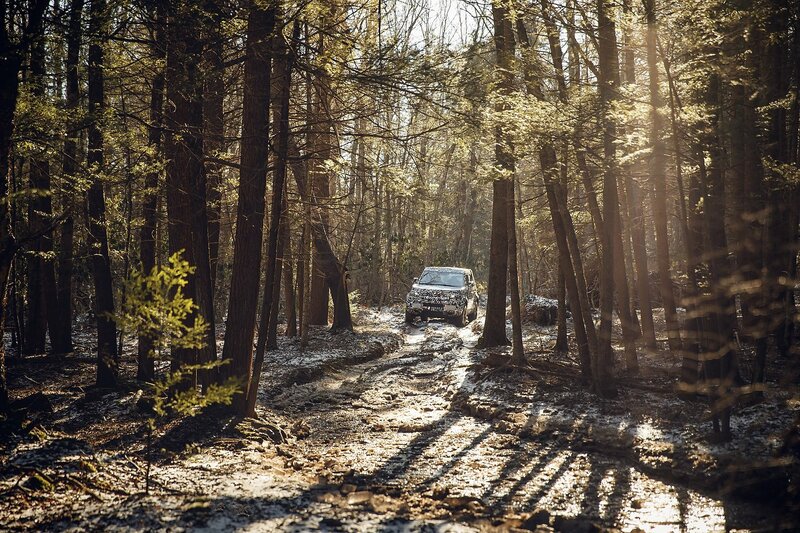 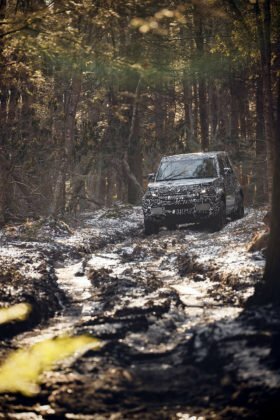 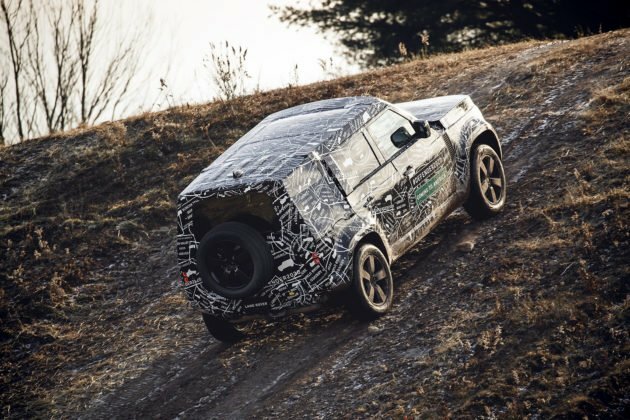 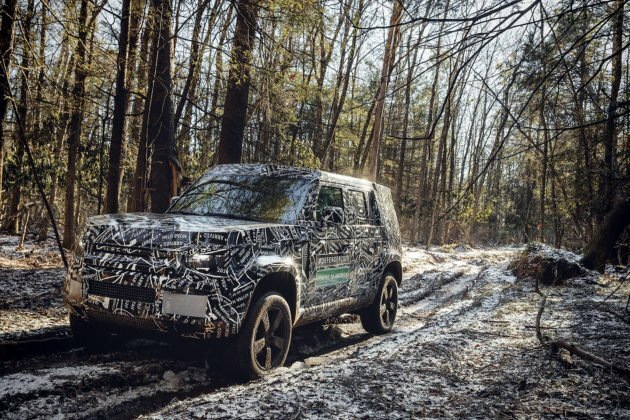 All eyes will be on Land Rover this year, and we’d take advantage of that fact to introduce hybrid versions of the Land Rover Discovery and Discovery Sport. The Lexus UX won’t have the success Lexus hopes it will, it’s just not good enough. 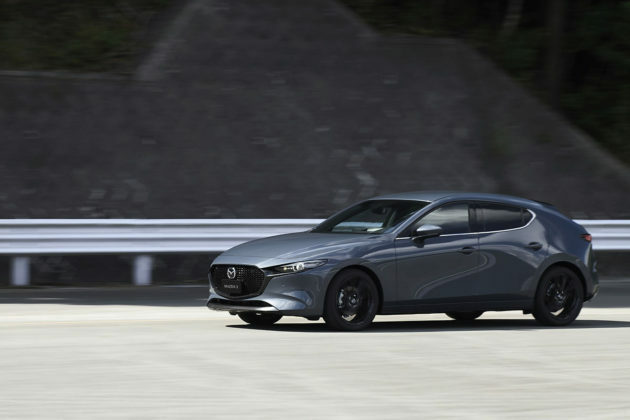 It’s time for the Japanese automaker to get back to basics and redesign the IS. 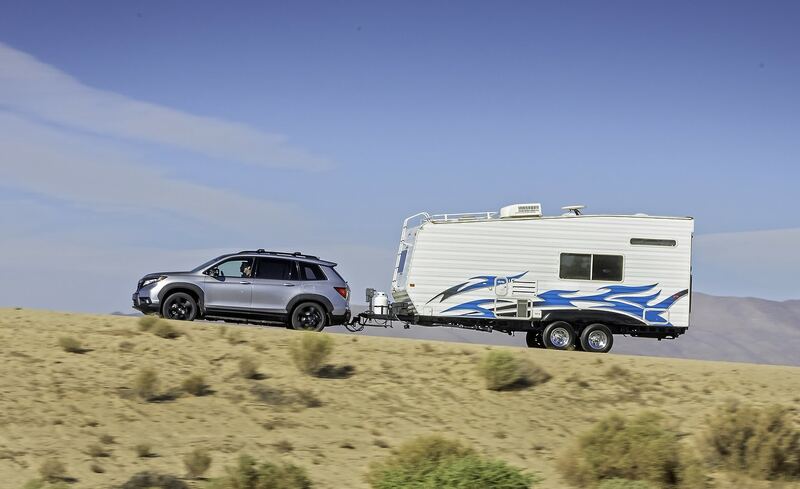 Make it more spacious and give it more power. 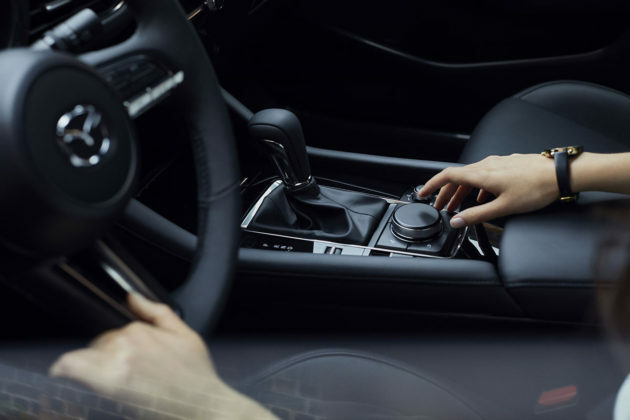 Go nuts and launch a new Lexus IS F.
Lincoln is on a roll and they need to keep it going in 2019. 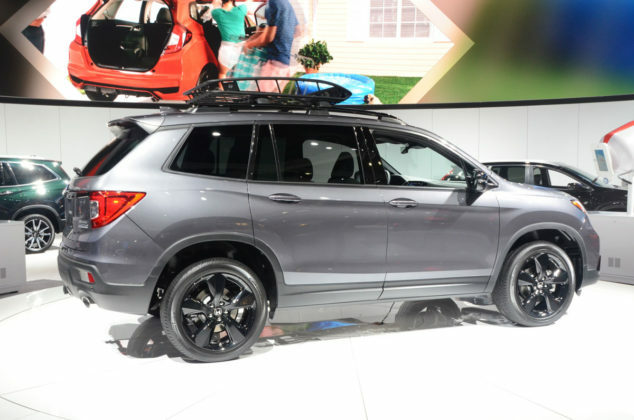 The Aviator will be a big hit just like the Navigator was last year. 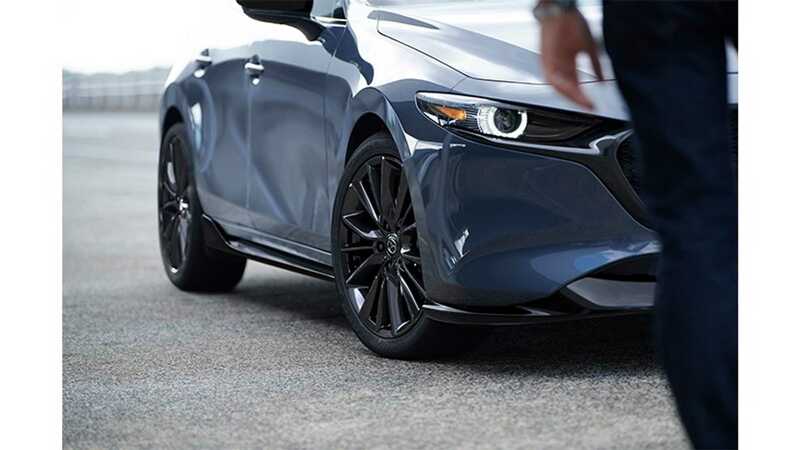 The problem with Lincoln is at the bottom of the lineup. 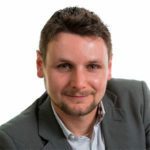 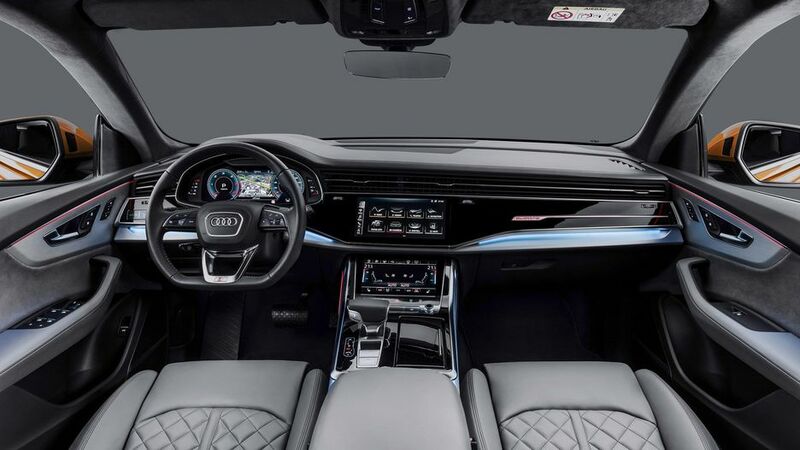 They need to say good bye to the MKC and introduce a new entry-level SUV that uses the stunning interior and exterior design elements of the latest Lincoln sport utility vehicles. 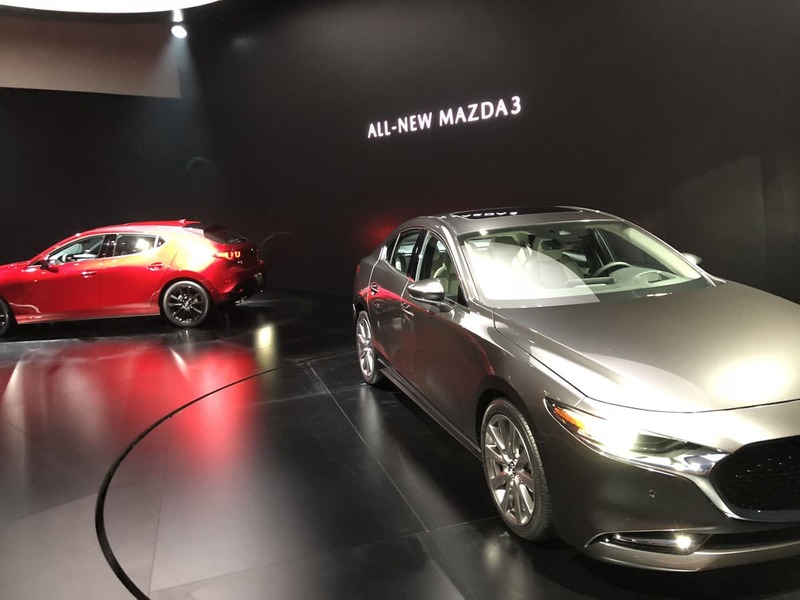 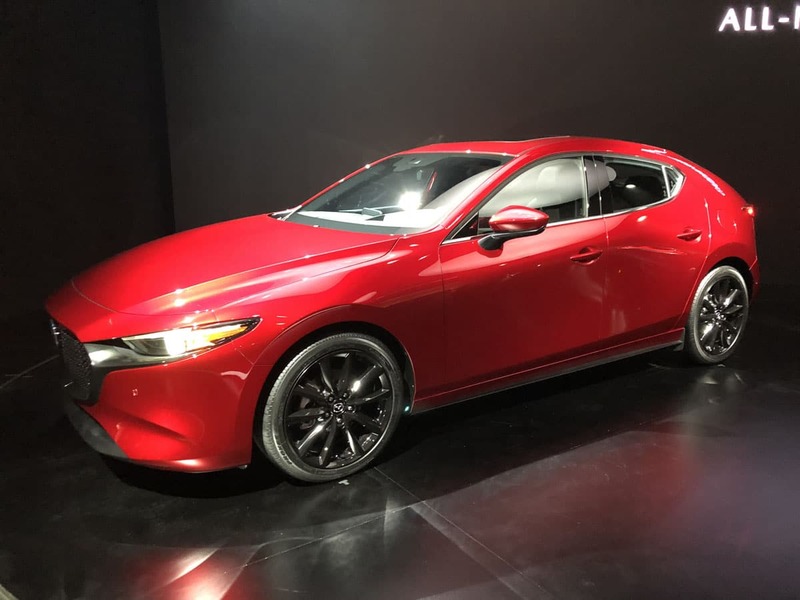 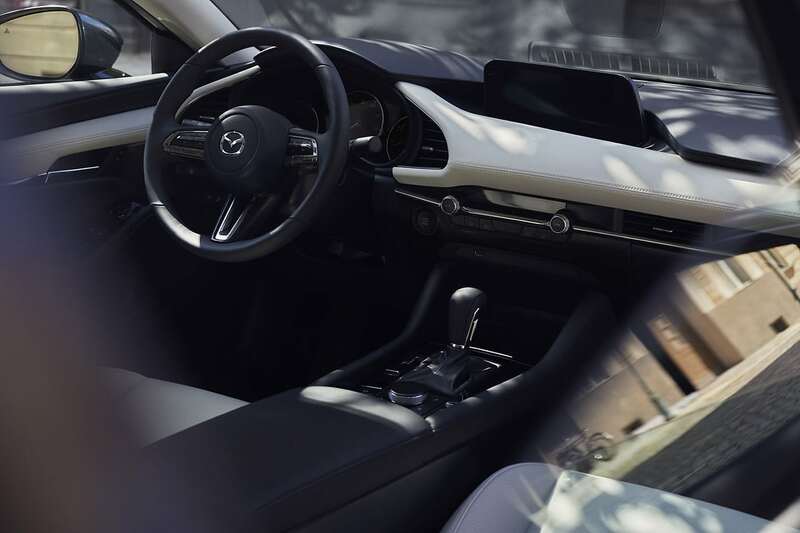 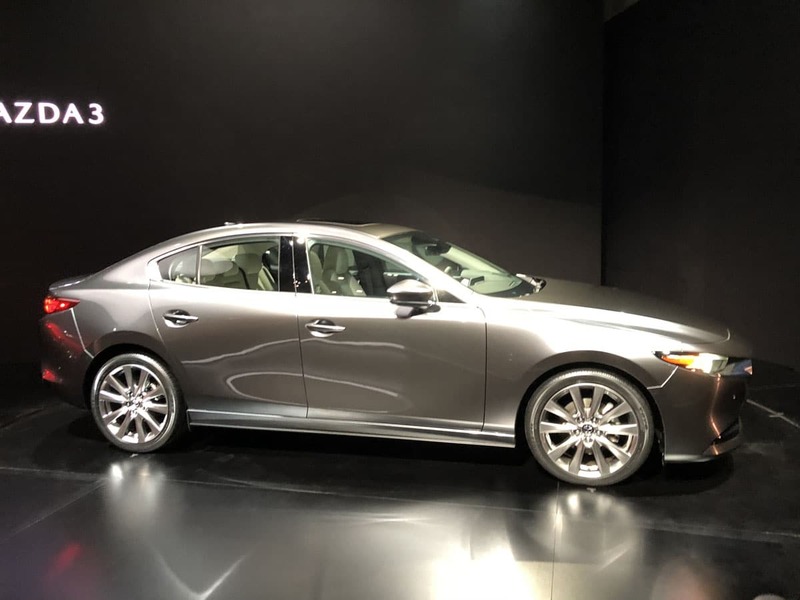 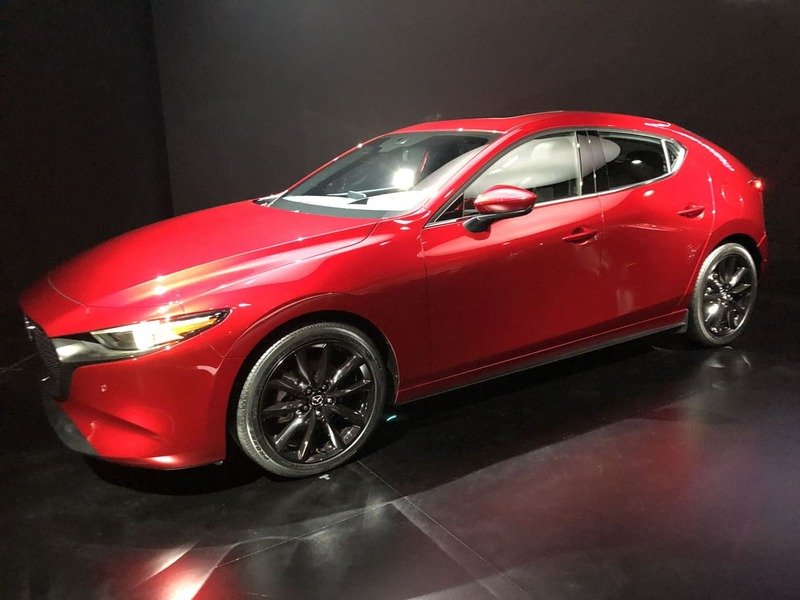 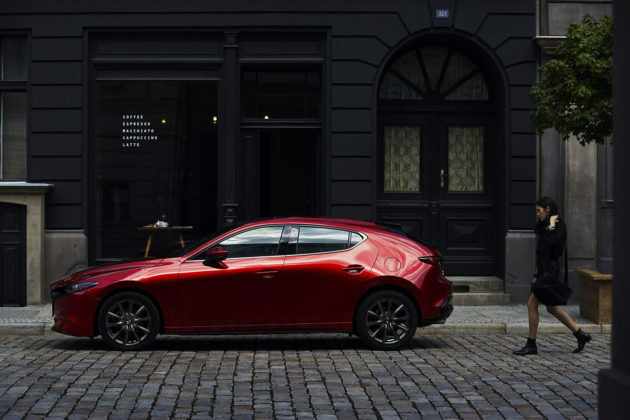 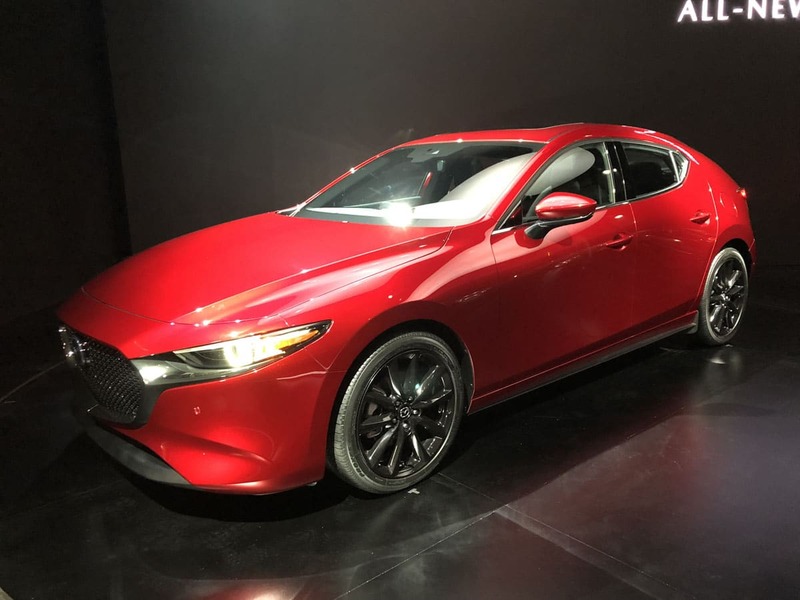 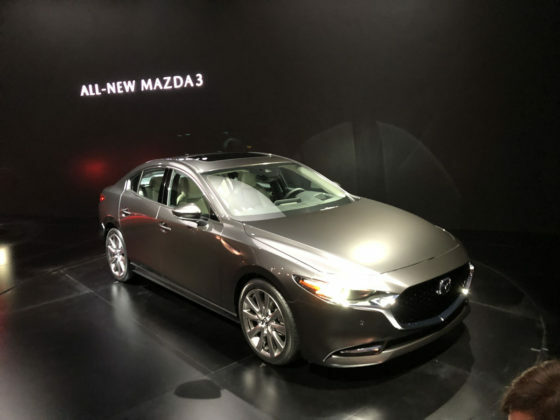 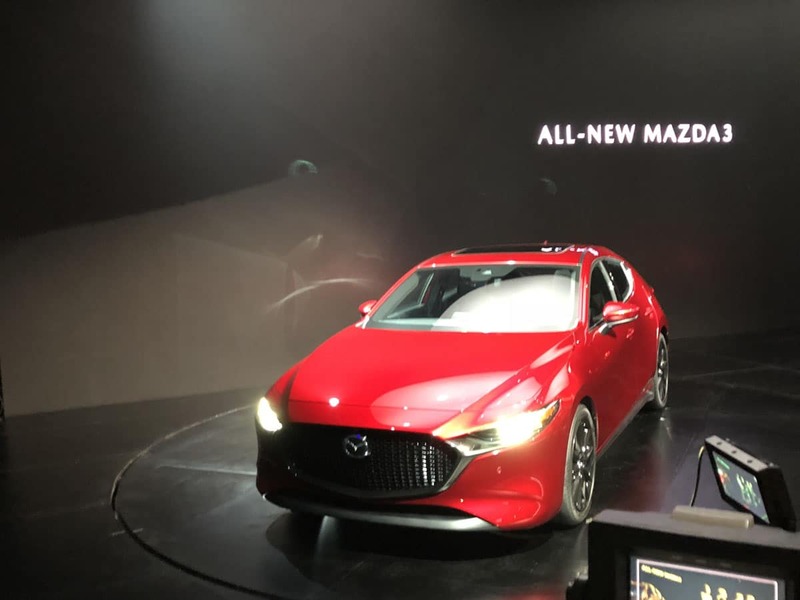 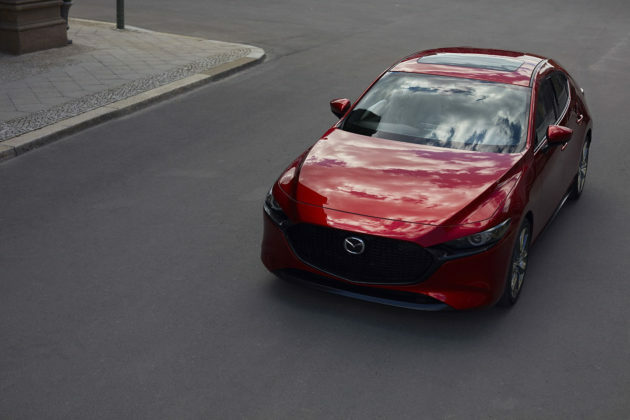 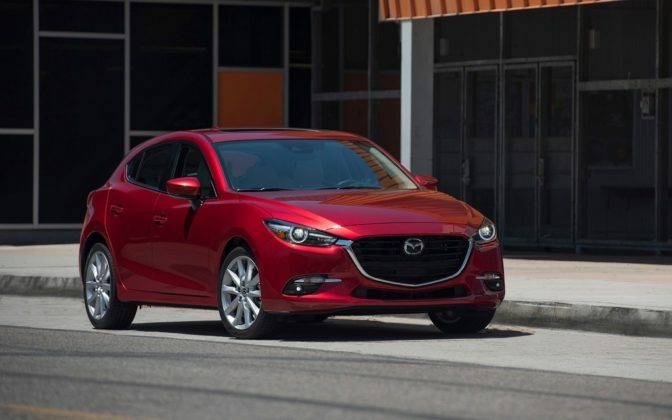 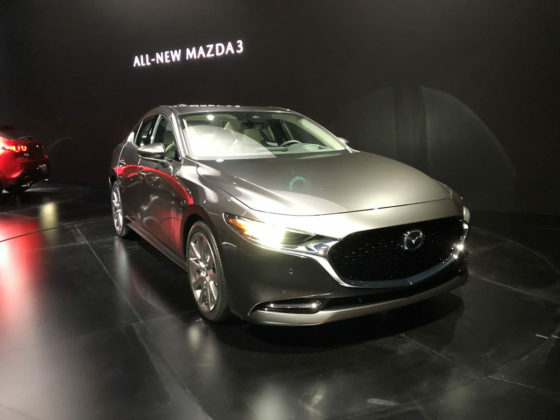 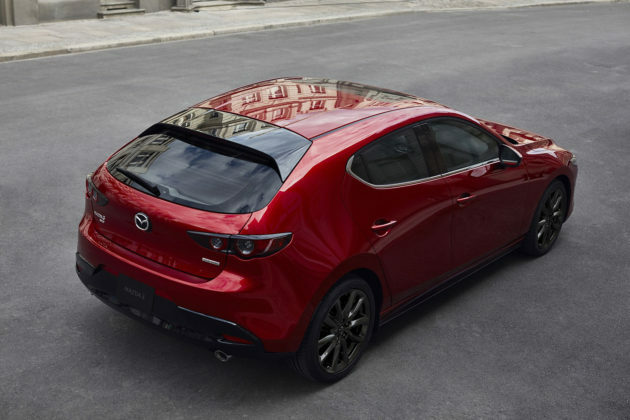 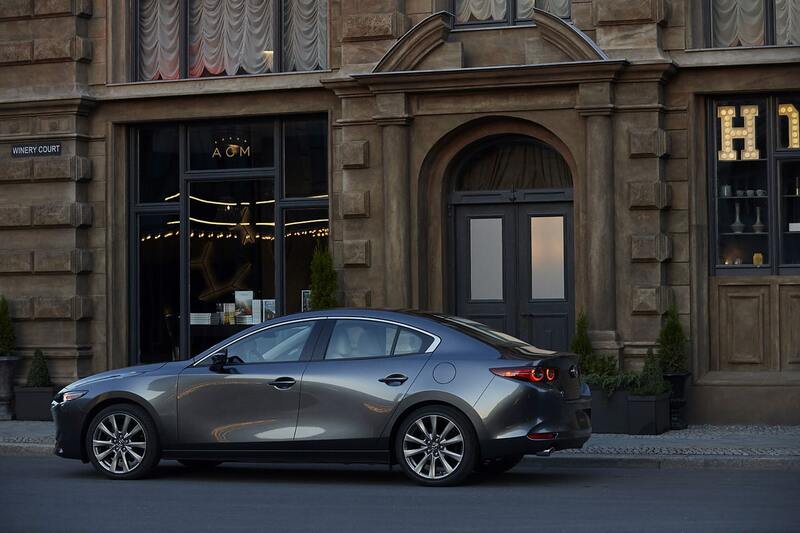 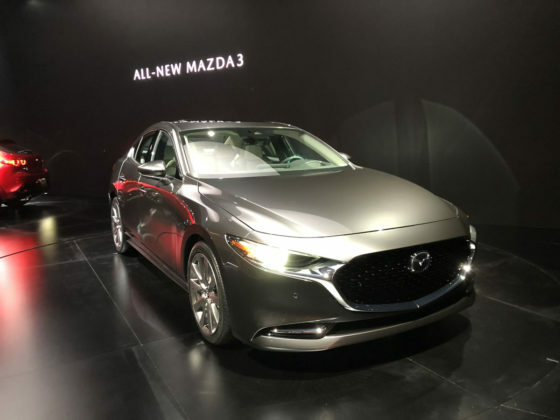 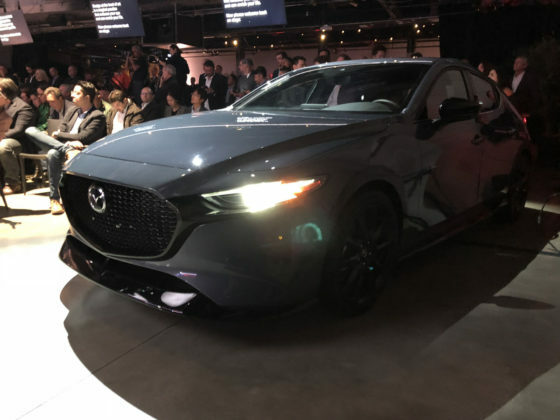 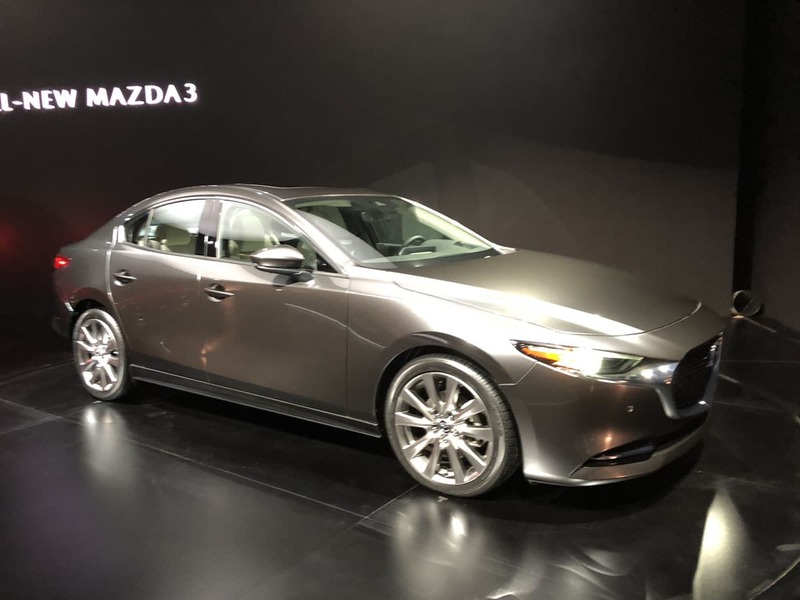 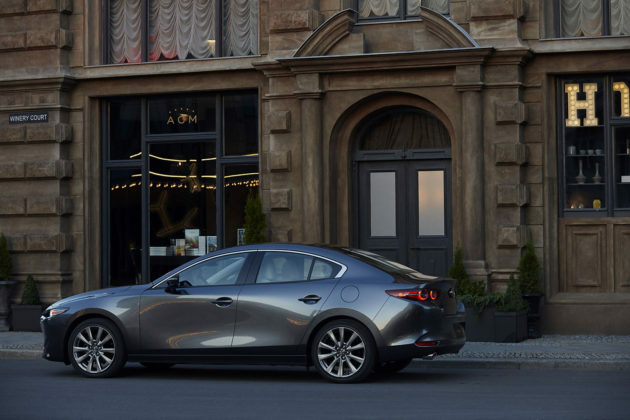 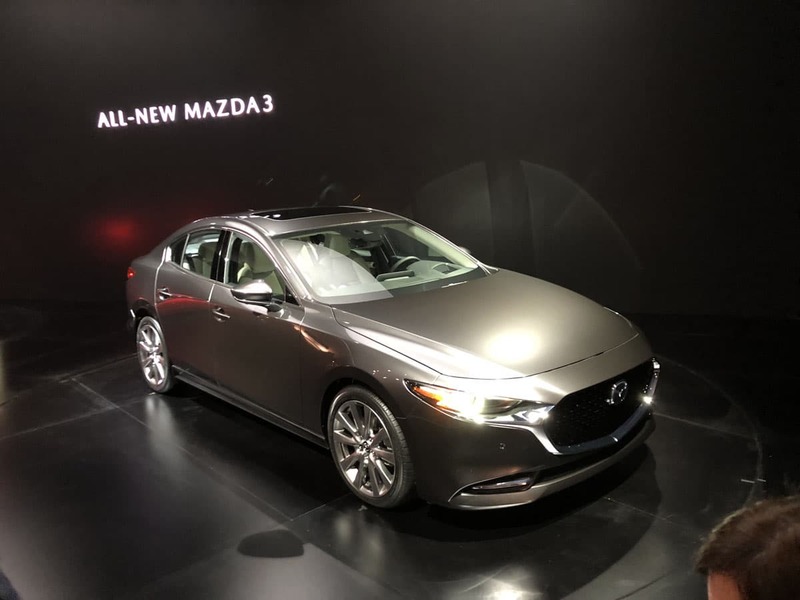 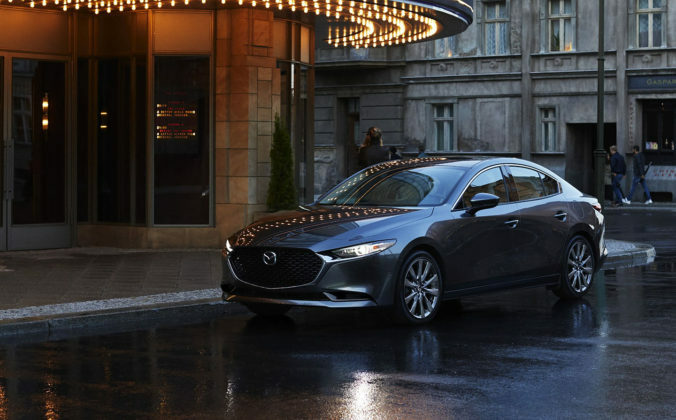 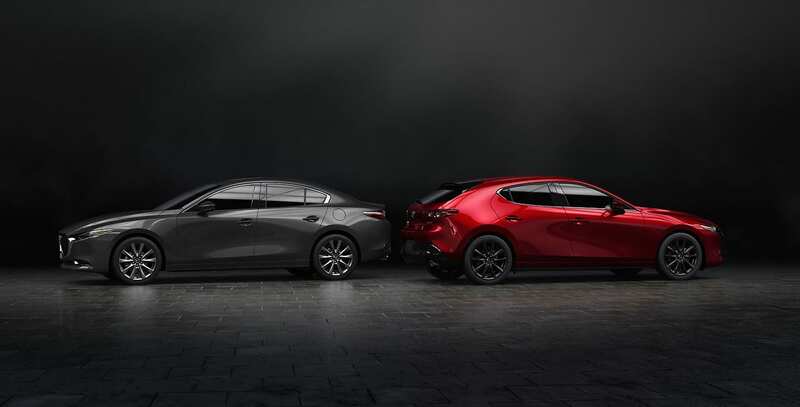 Mazda will be the talk of the town in 2019 with the new Mazda3. 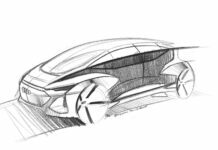 Now, it’s time to make a splash in the electrified vehicle segment and develop a new hybrid-only model. 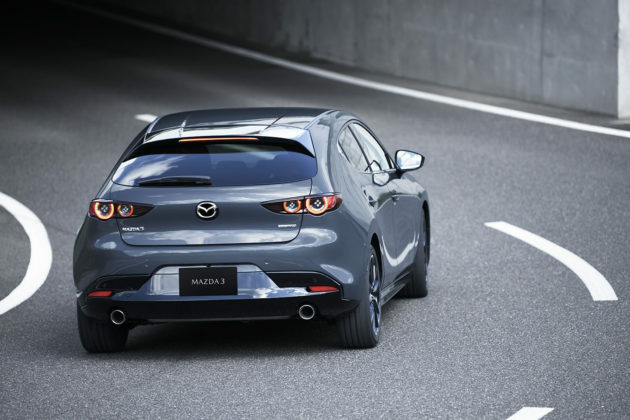 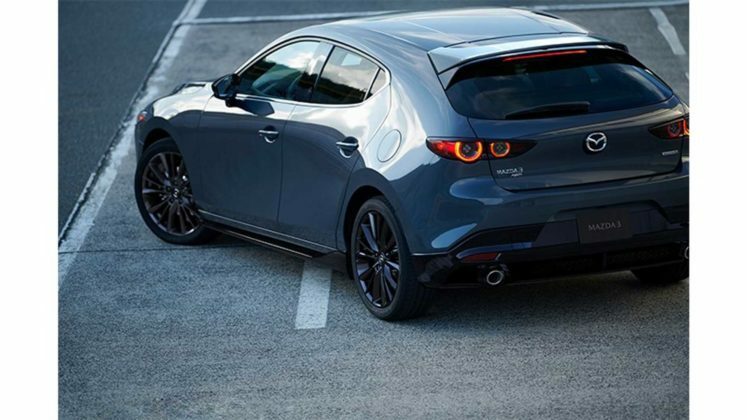 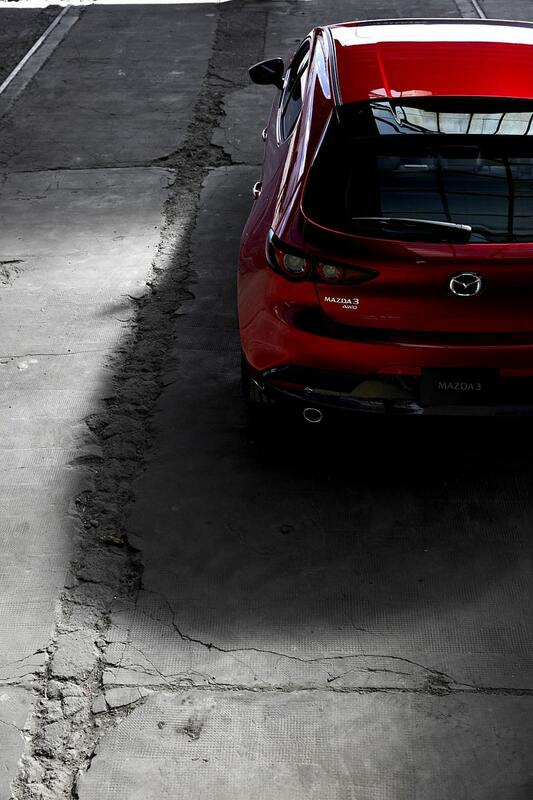 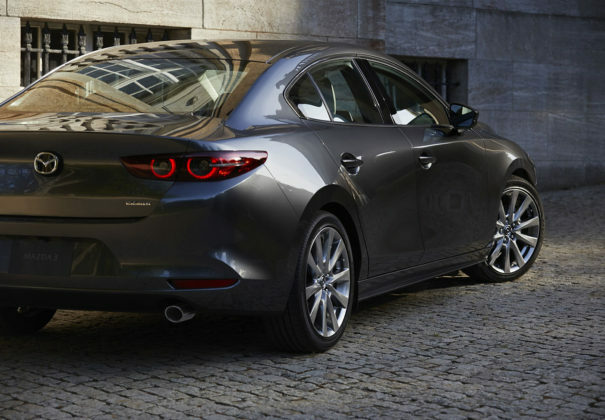 Slot it between the Mazda3 and Mazda6. If that’s not possible, build a new-generation Mazda5. 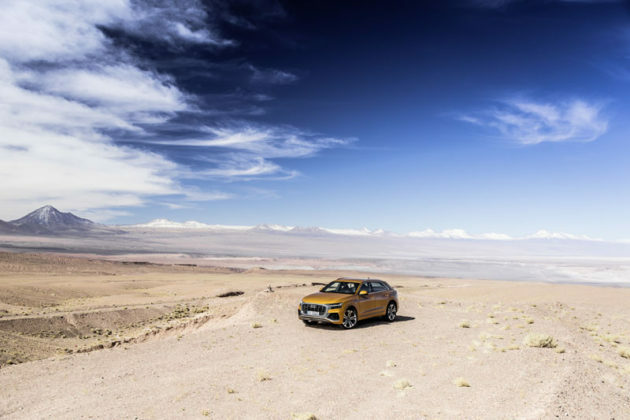 A new GLE is big news, but Mercedes-Benz’ SUV lineup still needs some love. They could redesign the GLC, but we’d focus on a new GLA. 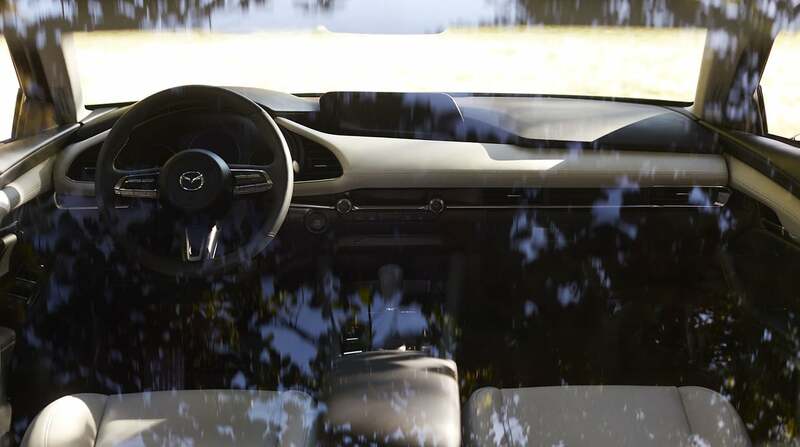 The model hasn’t really changed since it was introduced 4 years ago except a refresh in 2018. That’s not enough given how many new models are being launched in this segment. 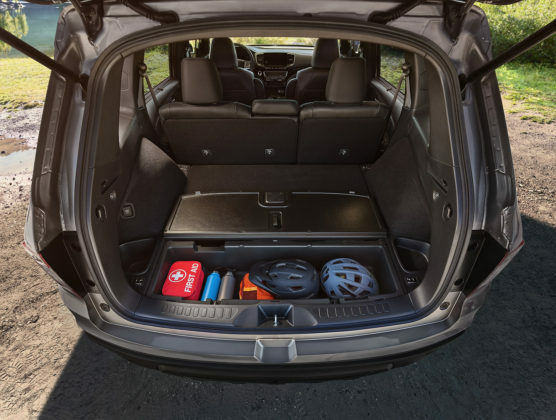 2019 would be a great year for MINI to redesign the Countryman from top to bottom. 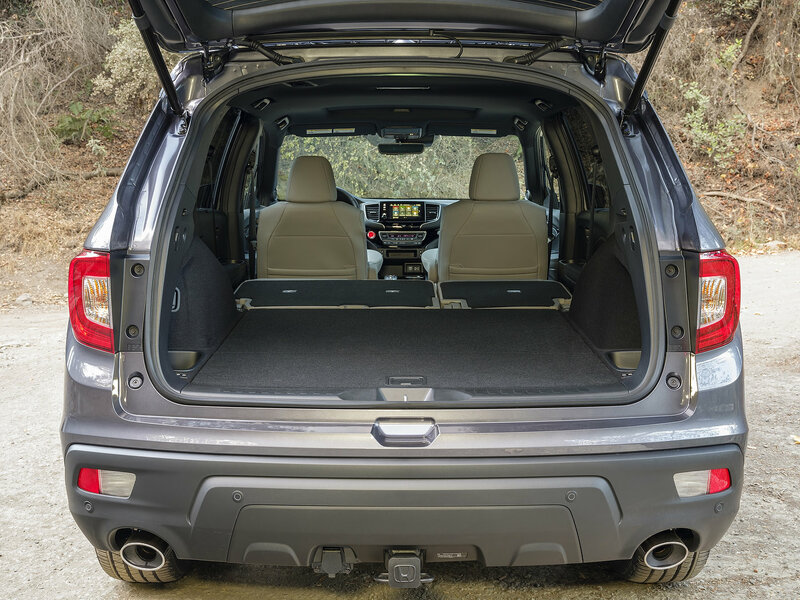 Make it more versatile and more spacious yet keep the same iconic MINI design. Mitsubishi will be keeping the focus on SUVs in 2019 and that’s fine, but we would really love to see a new Lancer. Make it all-wheel drive out of the gate and give it a sporty, aggressive design and you’ll have everyone talking about Mitsu again. 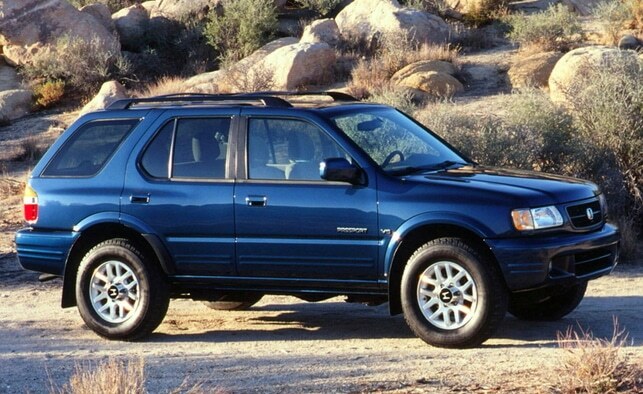 One of two things need to happen at Nissan. 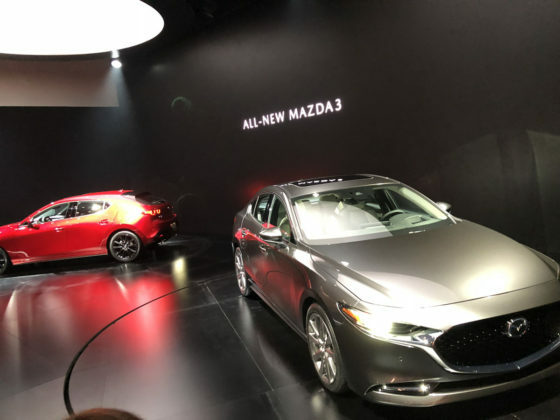 The Japanese automaker could redesign the Sentra to compete with the new Civic, Corolla, Elantra and Mazda3; or they could create a new-generation Nissan Rogue which also faces some tough competition. 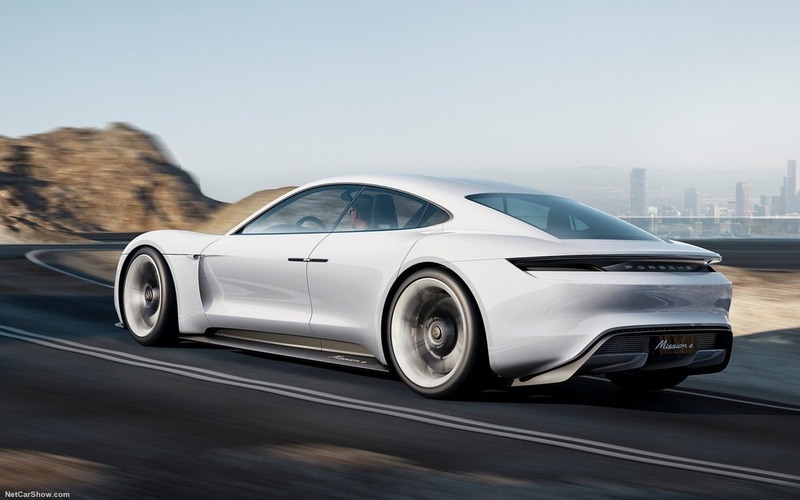 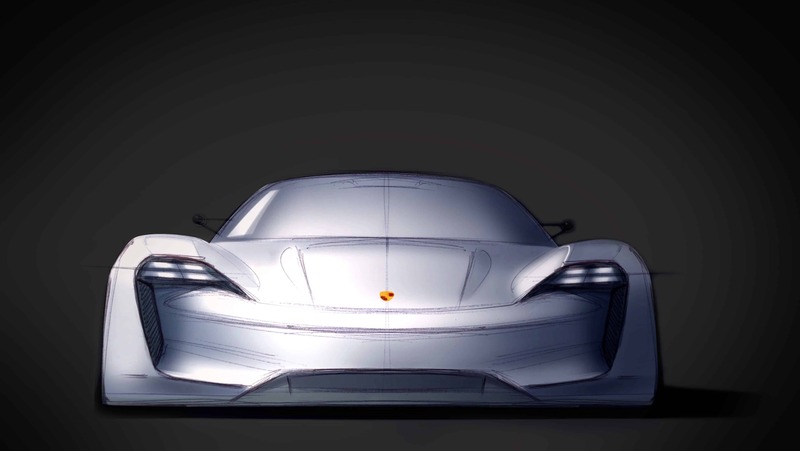 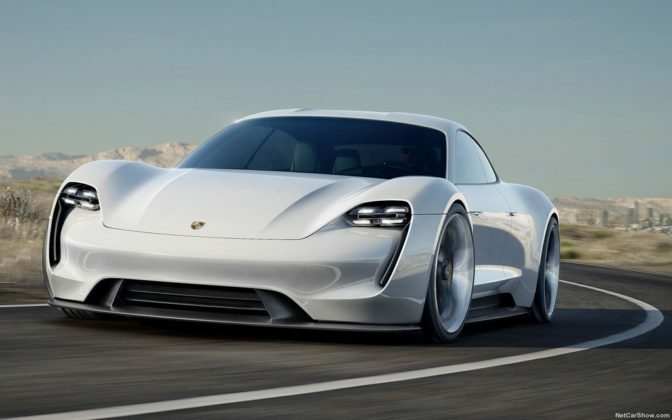 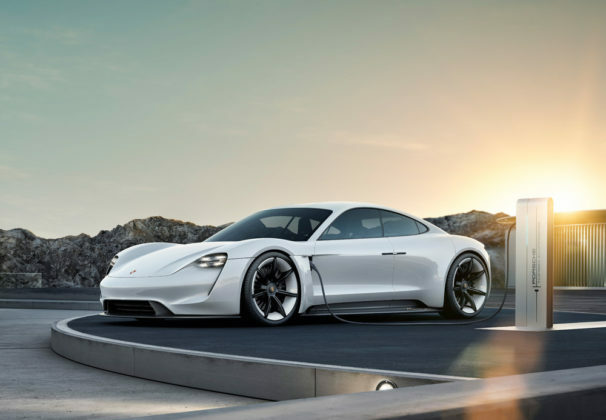 We could say Porsche needs a hybrid 911, but the time isn’t ripe yet. 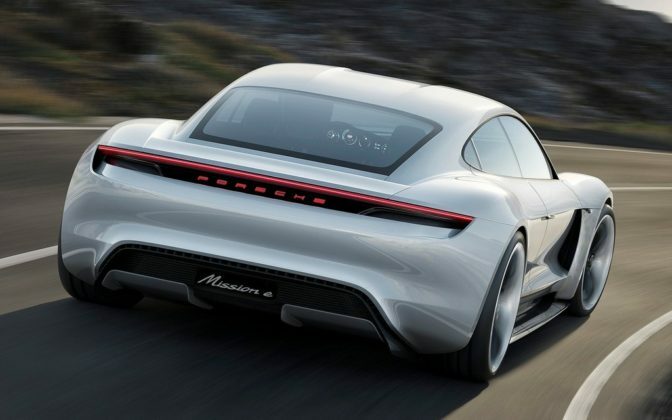 What Porsche could use is a Macan E-Hybrid. 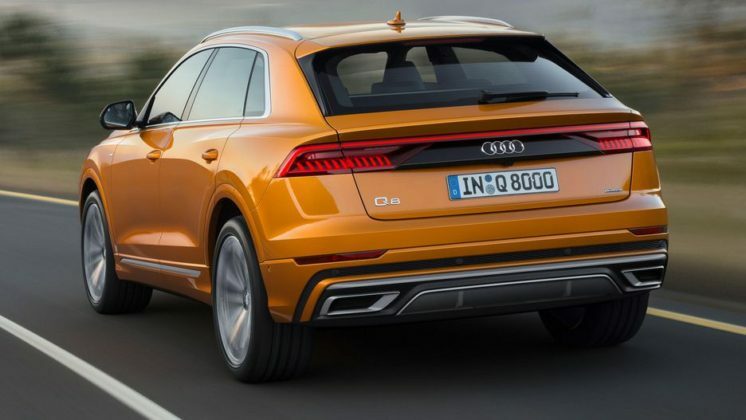 It would surely sell as well if not better than the Cayenne E-Hybrid. 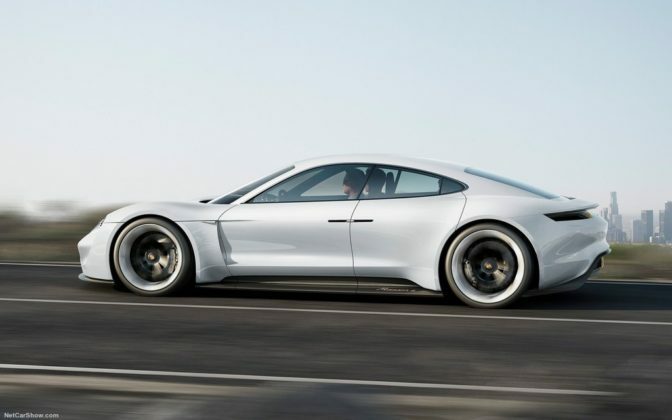 Boring, right? 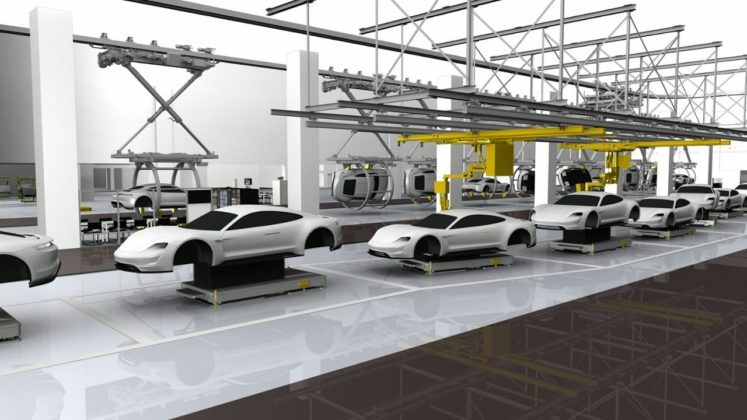 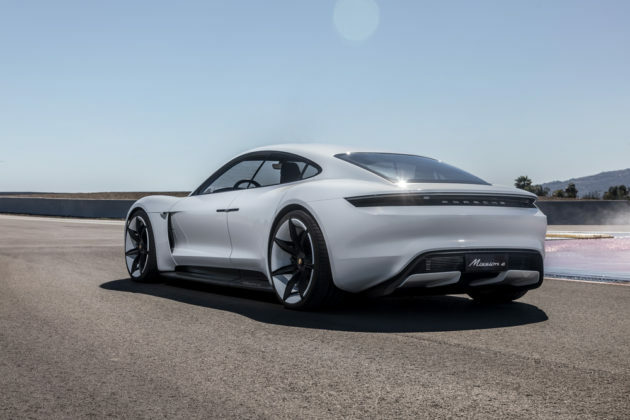 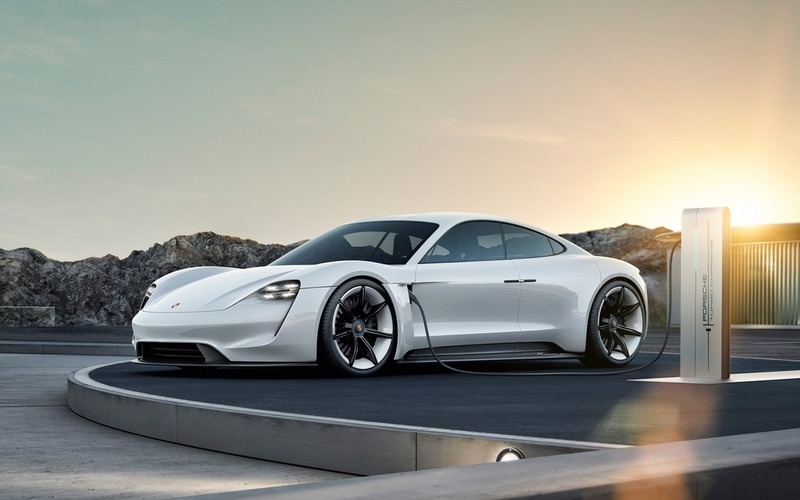 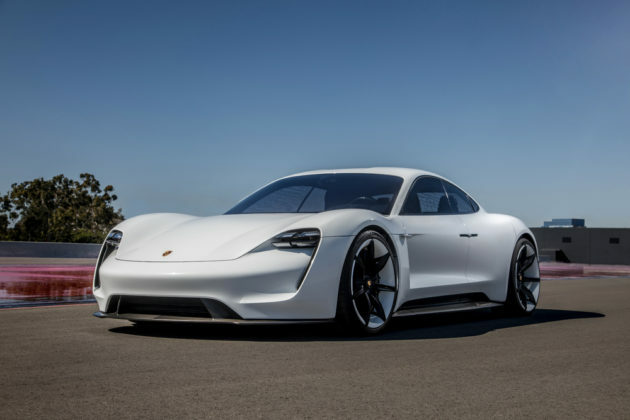 We know, but Porsche will be focusing all of its attention on the new 911 and Taycan next year and will give us all the models and versions we want from both cars. 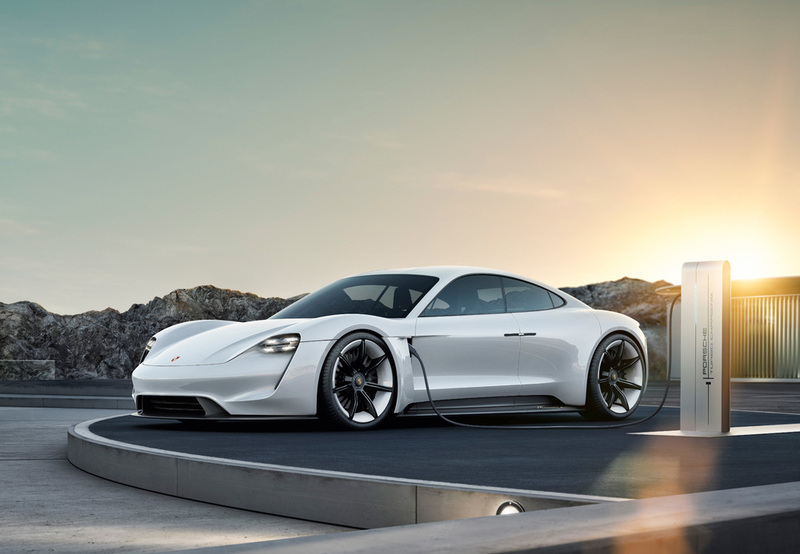 By the time the year is over, a Macan E-Hybrid could be the only thing missing at Porsche. 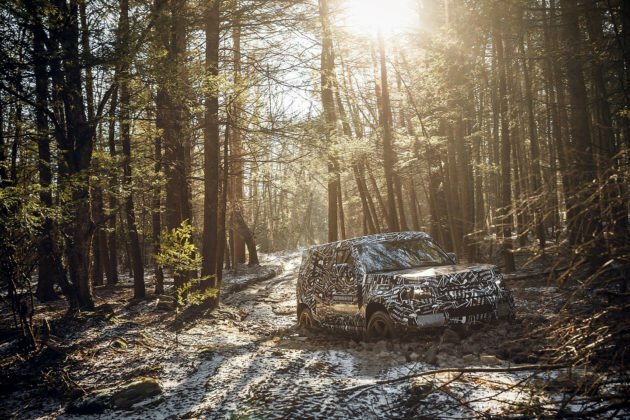 The Ram 1500 was completely redesigned last year, so is there anything left to do? 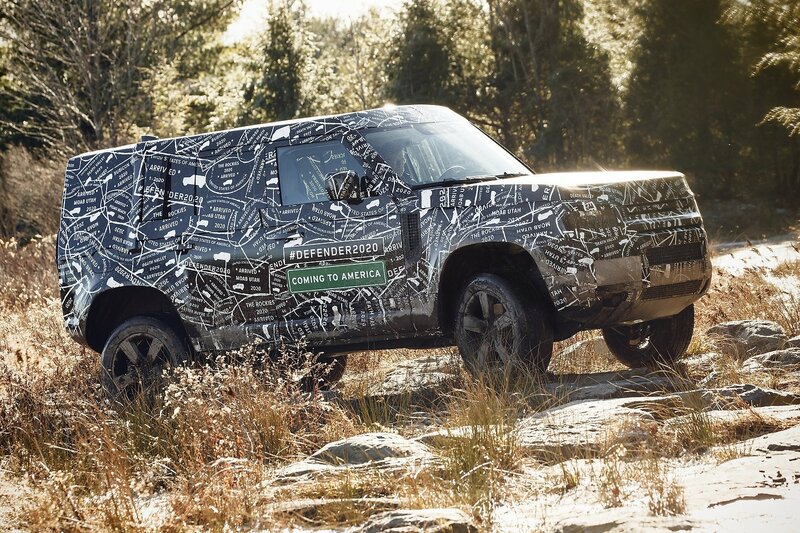 Hmm… what could Ram possibly do next in 2019? What to do, what to do… Oh! 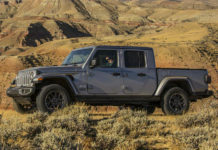 How about we build a new mid-size pickup and take on the new Ranger and Tacoma! Yeah, that could work and if you really want to go crazy, call it the Ram Dakota. 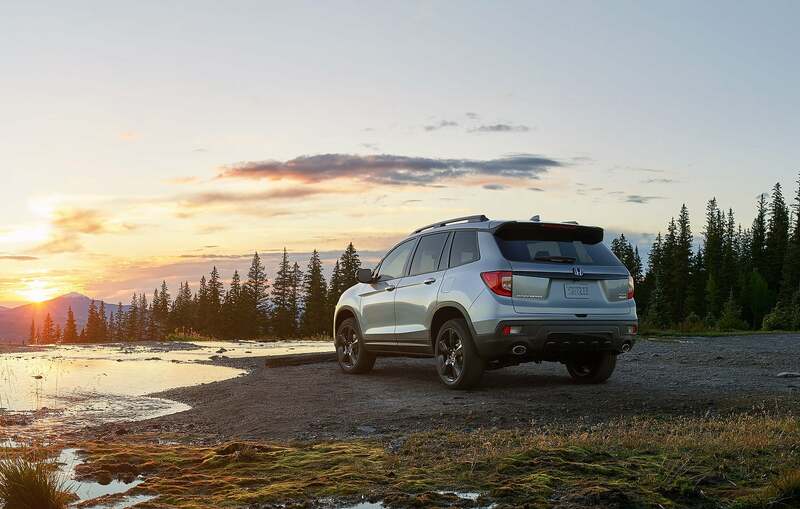 Great year for Subaru in 2018 with the new Ascent and Forester. Now, Subaru needs an all-wheel drive hybrid-only vehicle. 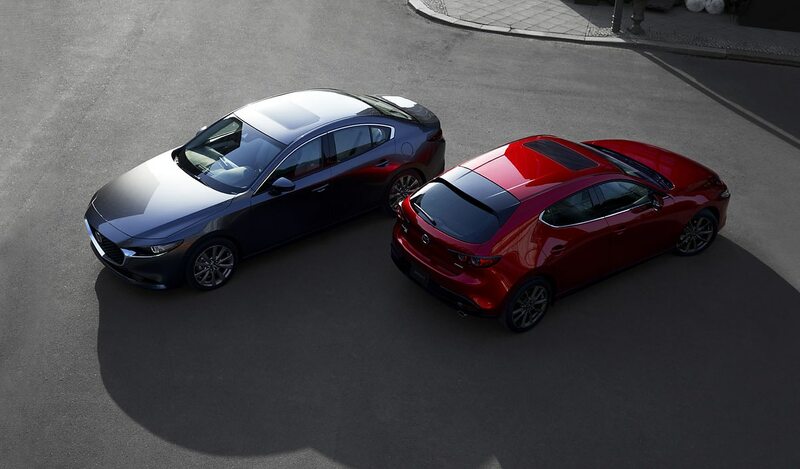 Build it side-by-side with Mazda if you need to. 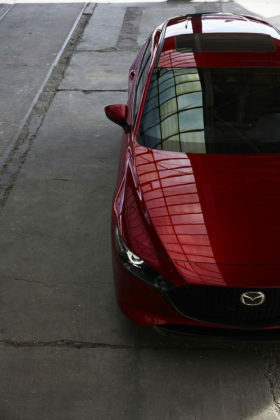 We’d hate to see Tesla lose focus on Model 3 production, but the California automaker needs a new-generation Model S that will be radically different from the current model. 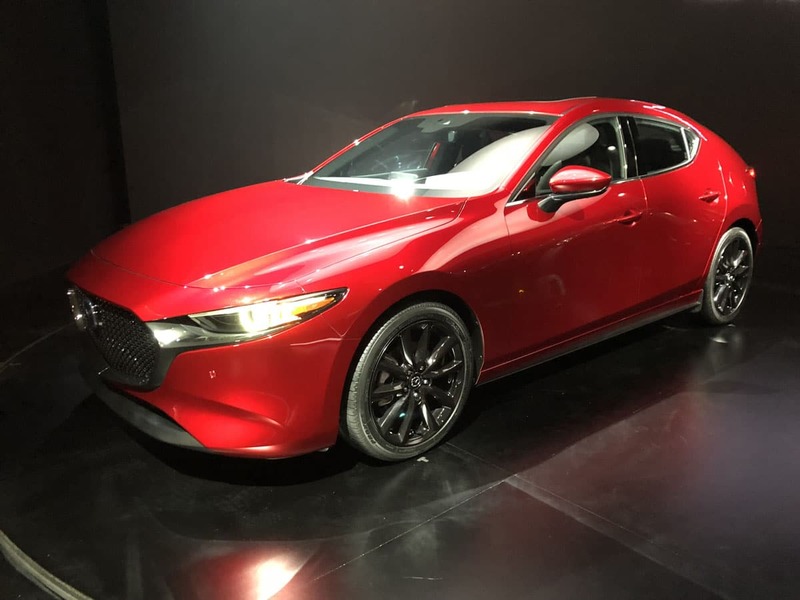 If Tesla wants to compete with the upcoming Taycan and e-tron GT, they will need a new Tesla Model S.
Toyota has redesigned its most important models in 2018. This year, they could do with a new-generation Toyota Highlander that can handle renewed competition from Subaru, Ford and Mazda. 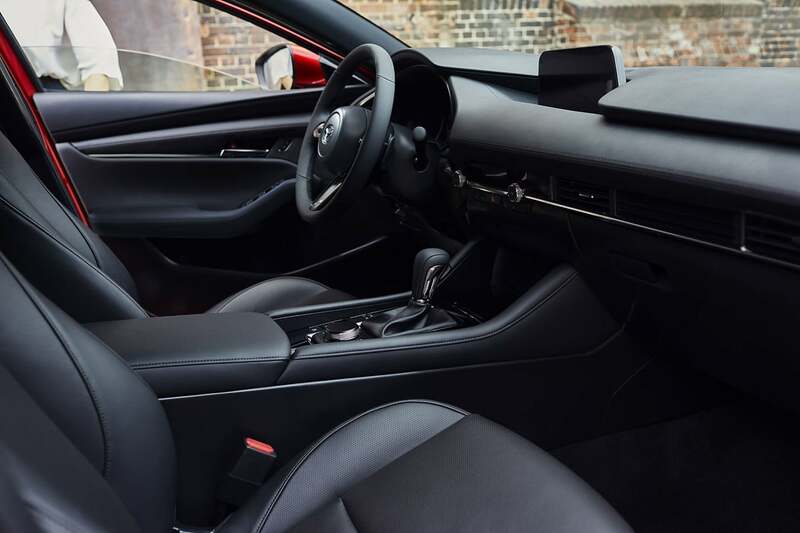 That said, we’d go back to the drawing board with the Toyota C-HR, give it all-wheel drive, and give it a chance in a very competitive segment in which it has lost itself. 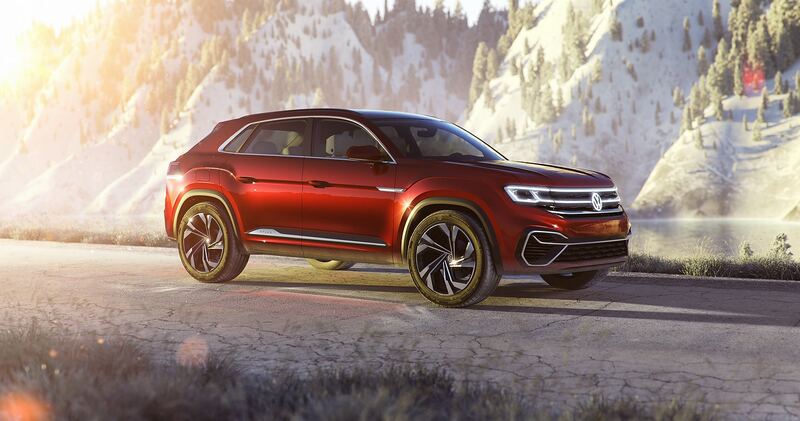 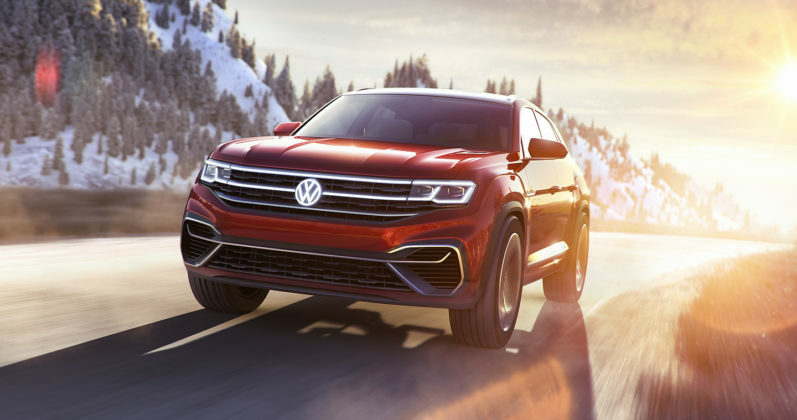 Volkswagen needs an all-new entry-level SUV to serve as the gateway to the German lineup of sport utility vehicles. 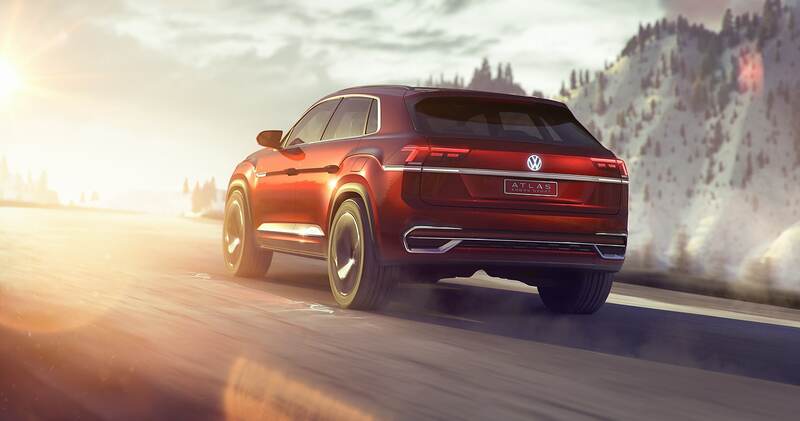 Something with the refined design of the Tiguan starting at less than $25,000. 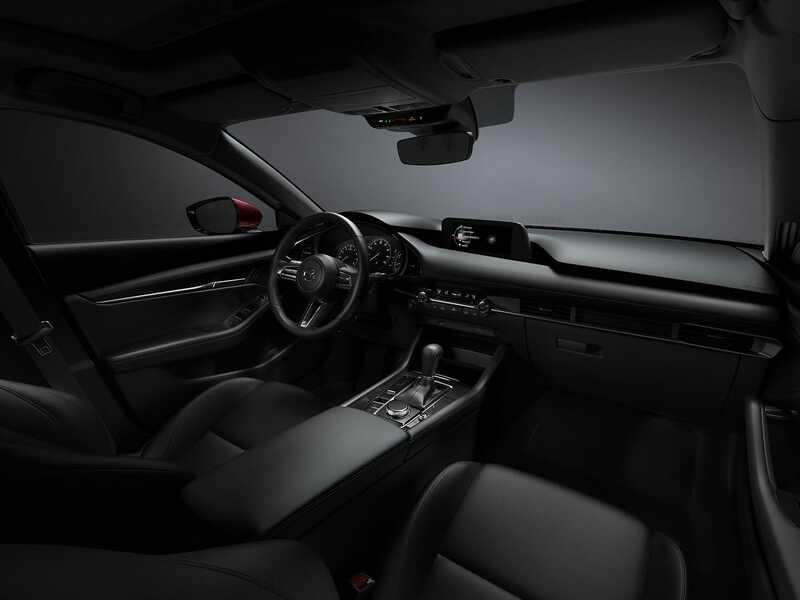 We would love to see a brand-new Volvo C30. 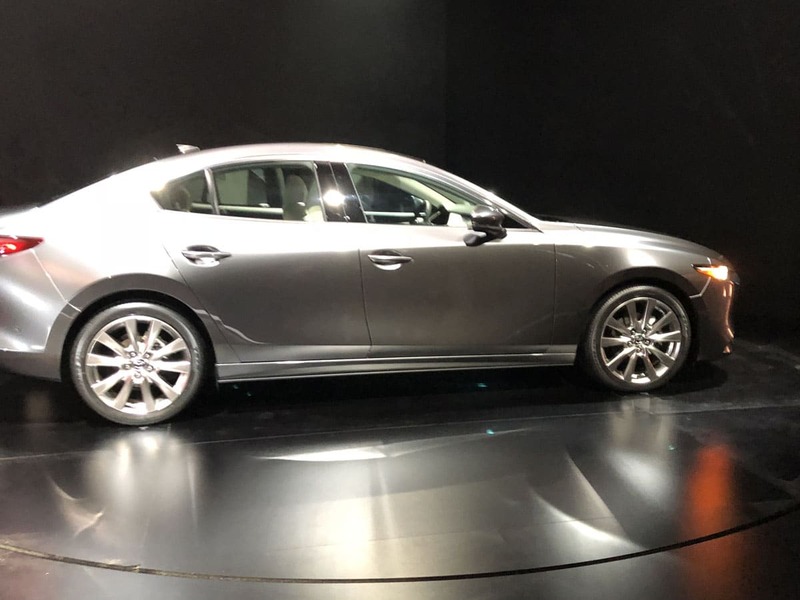 That may not seem like the smartest option at first, but think about the original C30 and the impact it had on the Volvo brand. 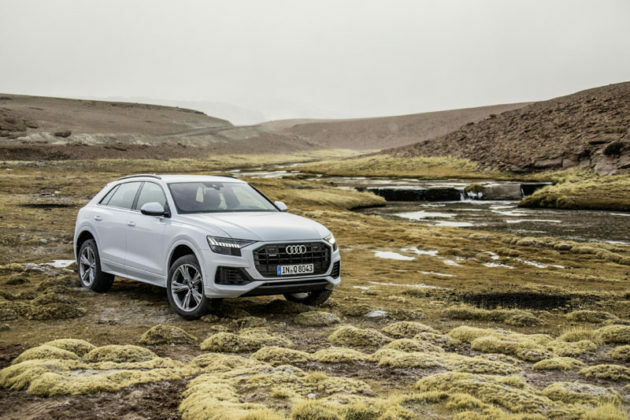 Volvo has enough SUVs for now, it needs another car and in a perfect world a more affordable car.